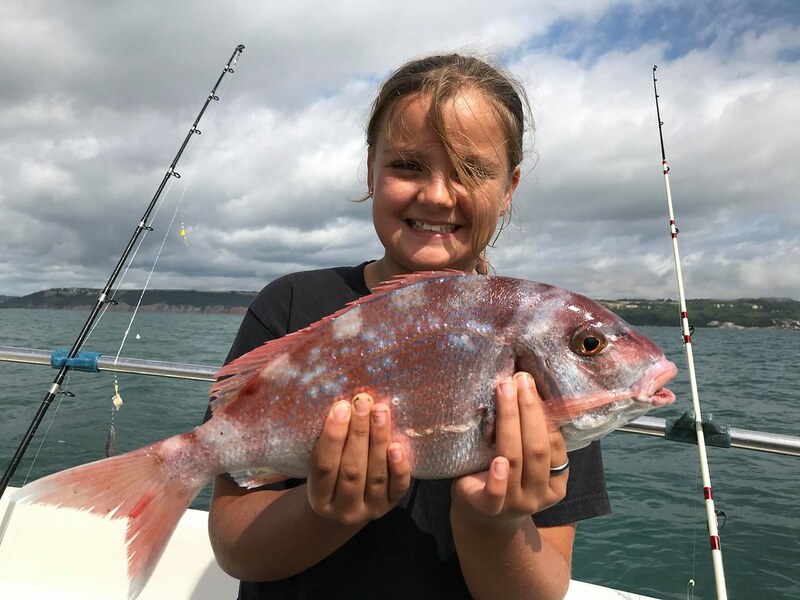 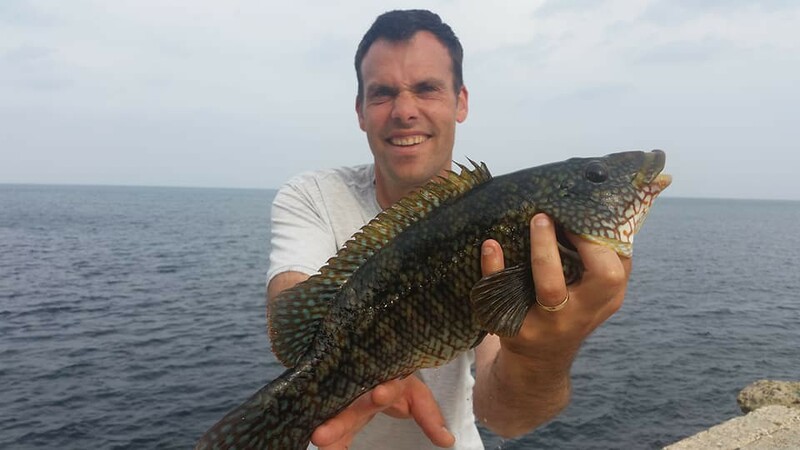 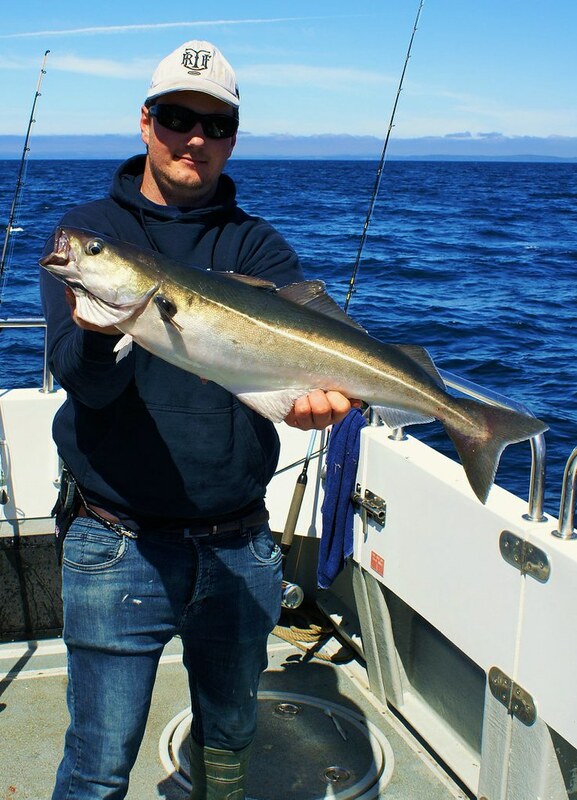 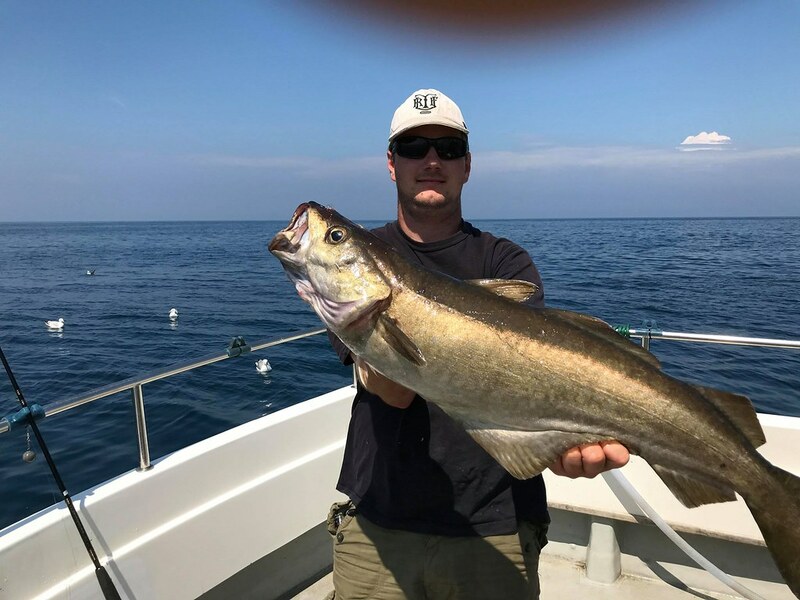 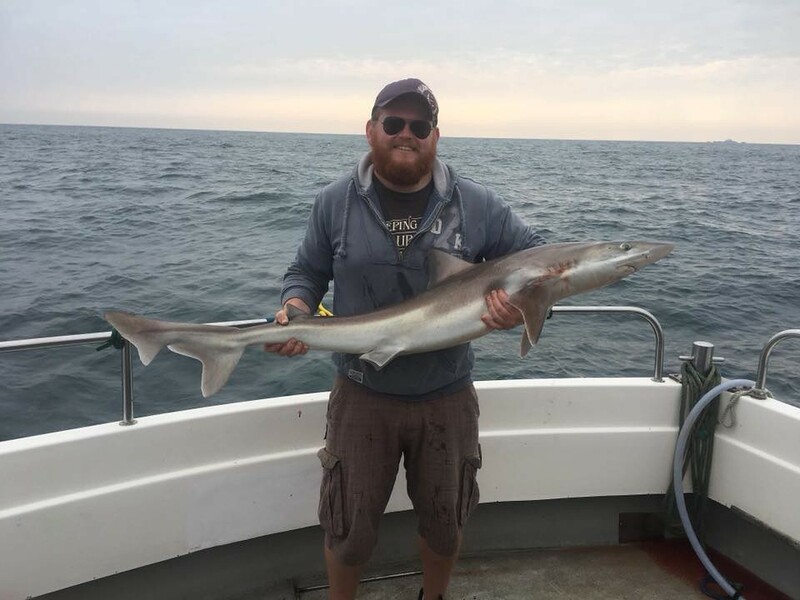 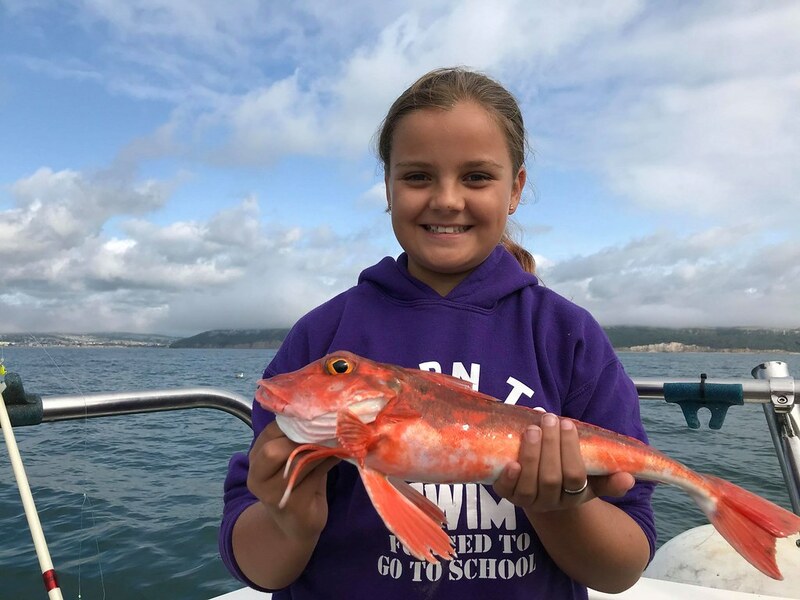 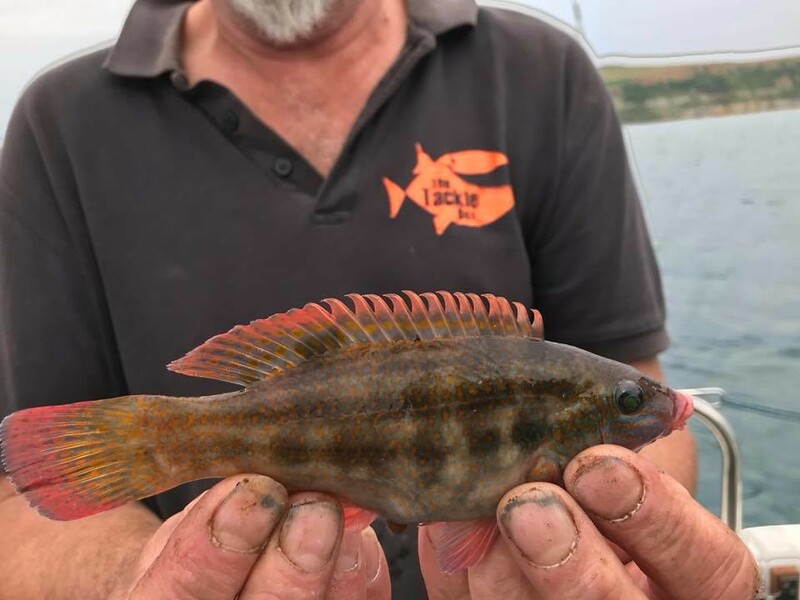 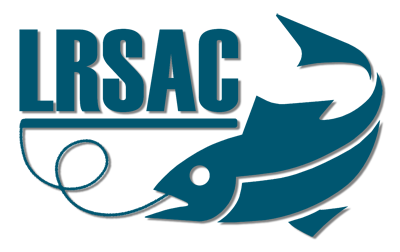 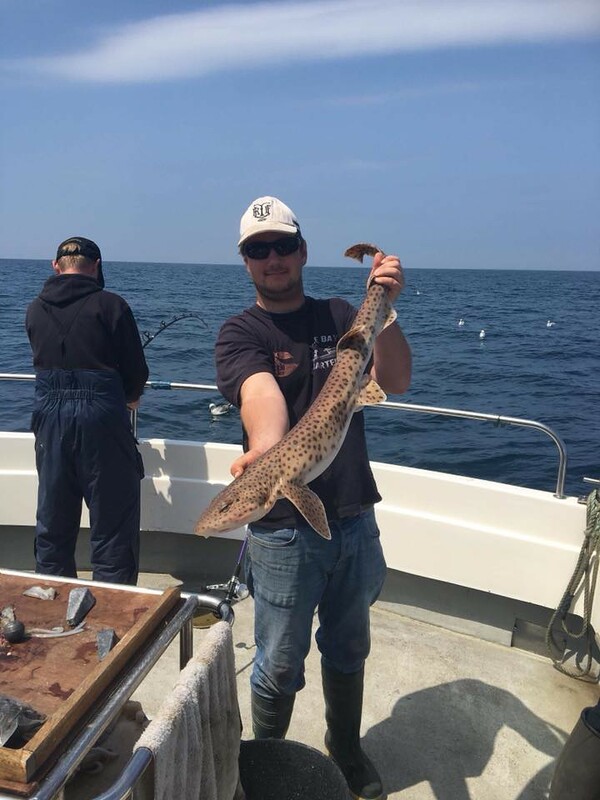 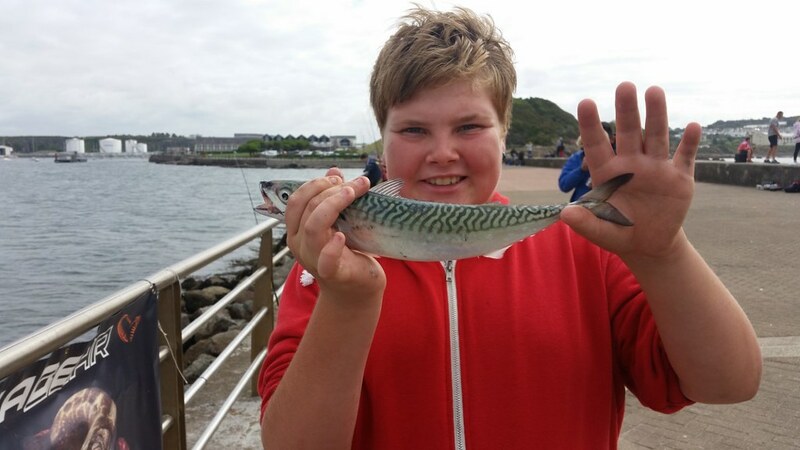 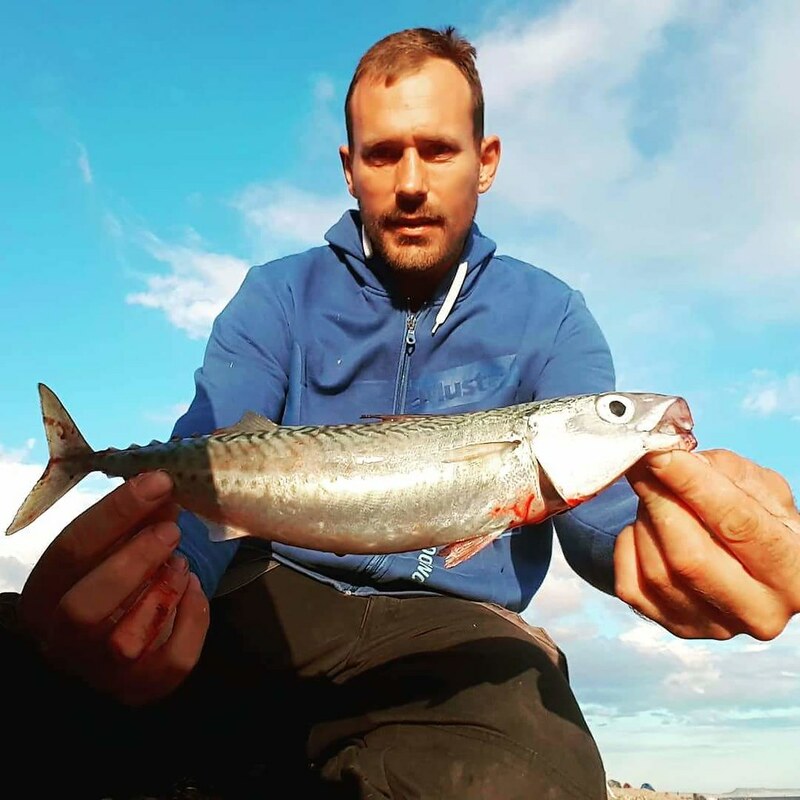 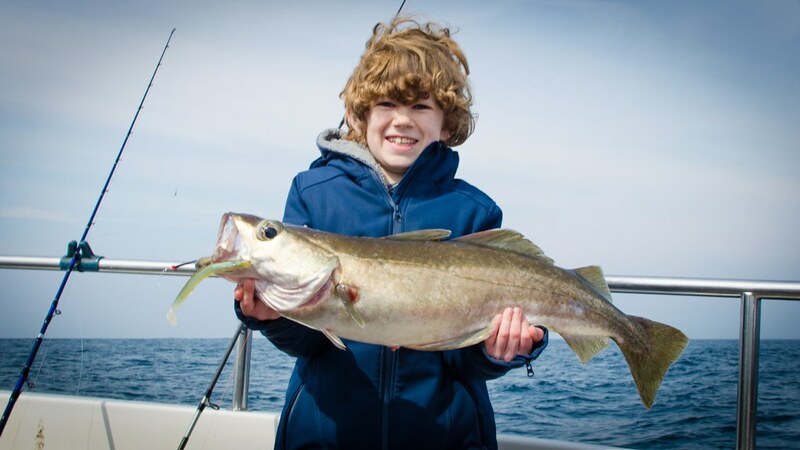 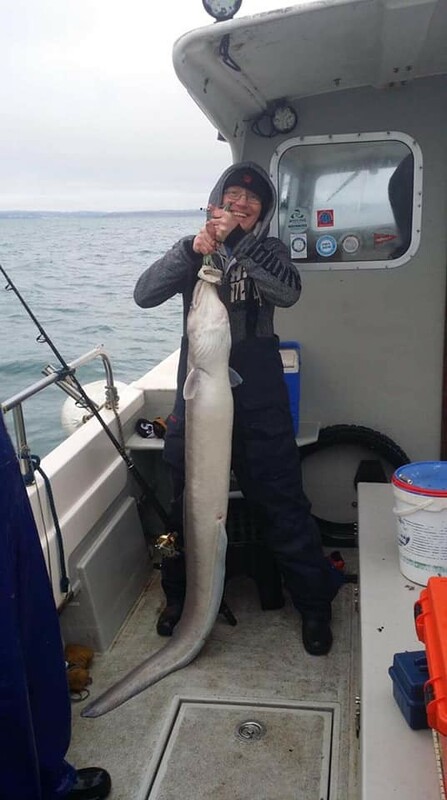 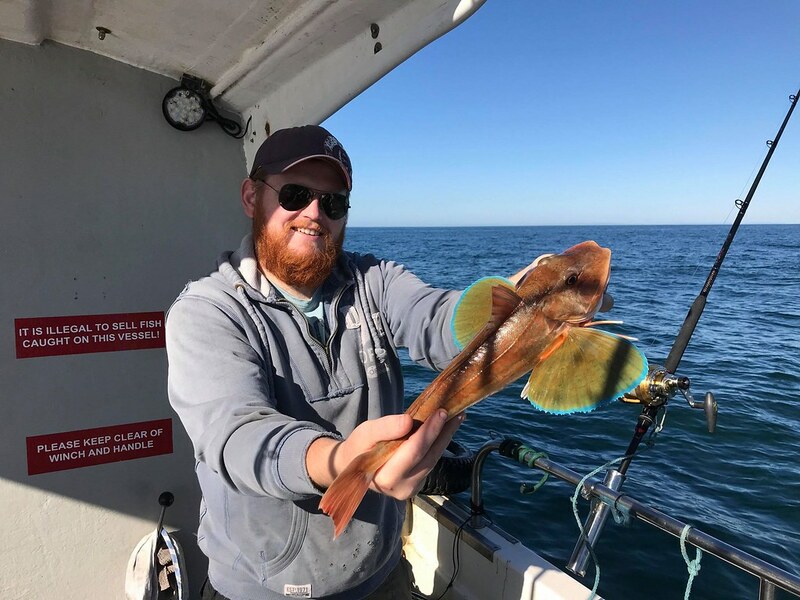 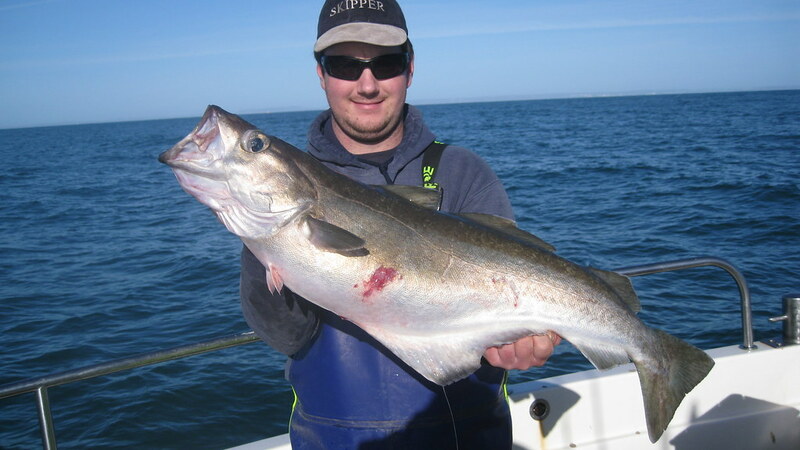 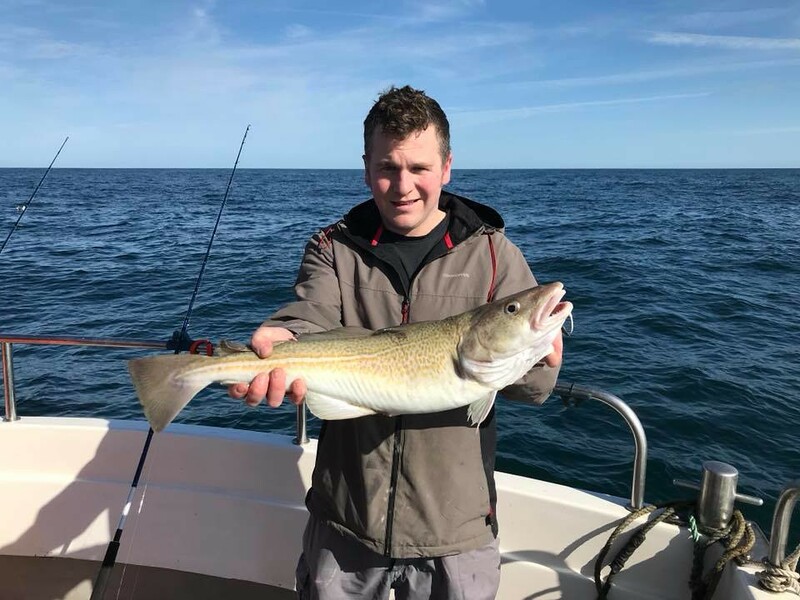 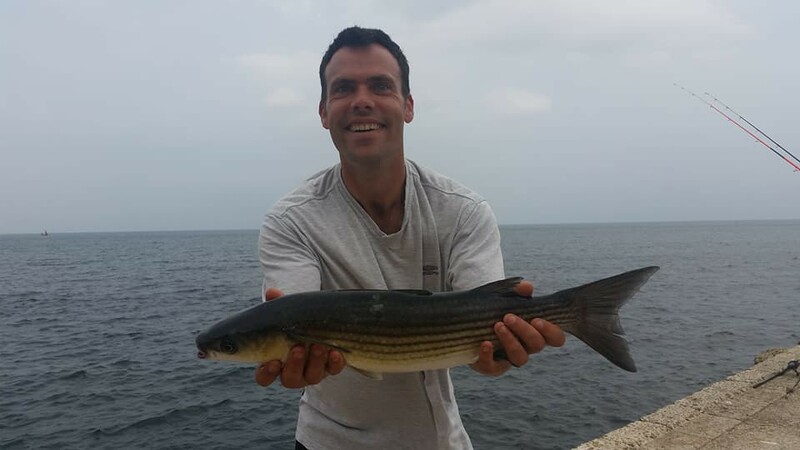 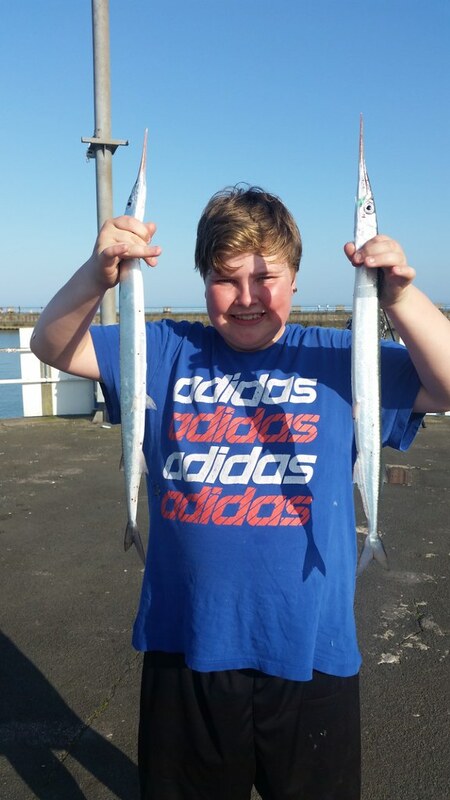 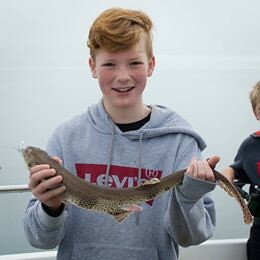 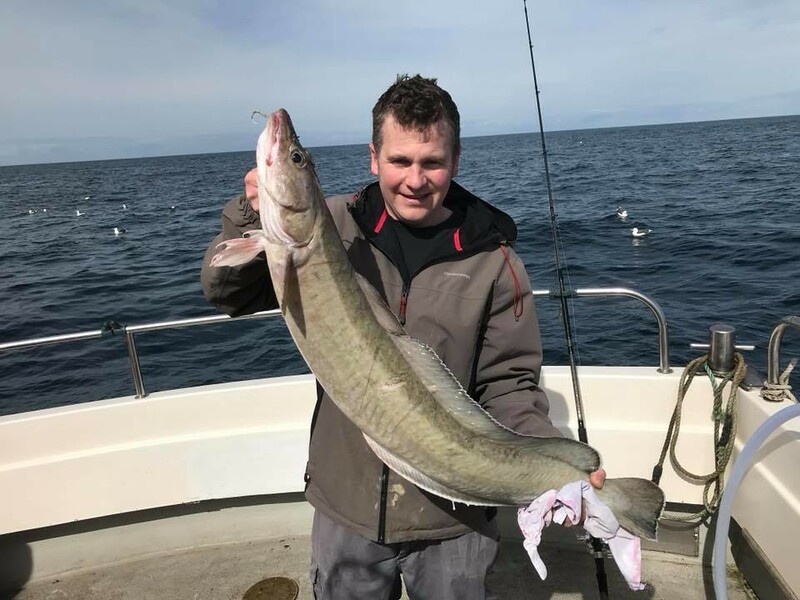 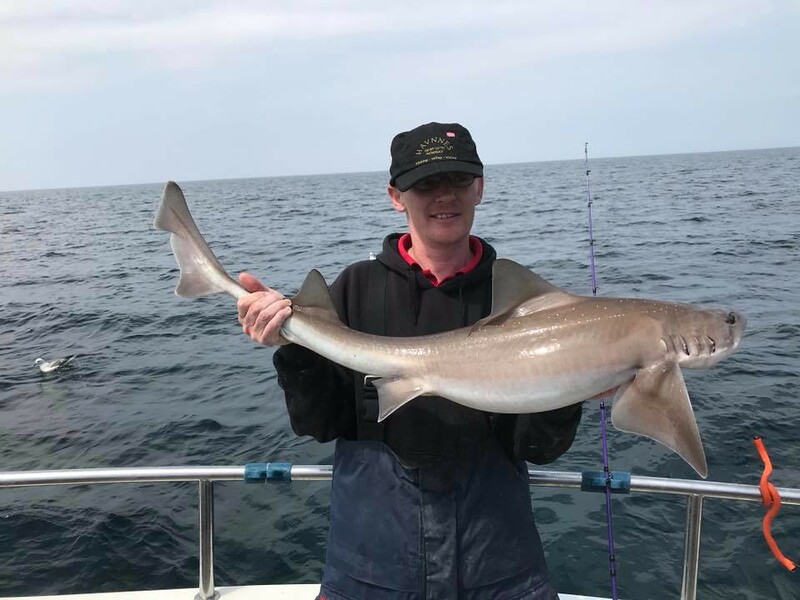 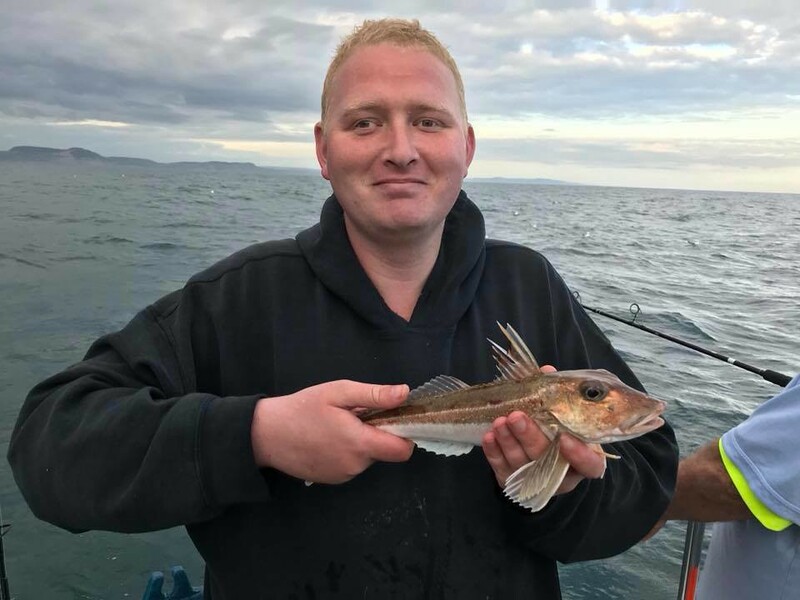 Ben went fishing at Seaton and in one night broke two LRSAC shore records. Pictured above is a 12lbs 1ozs Bass (127.48%) that broke his brother's previous record. 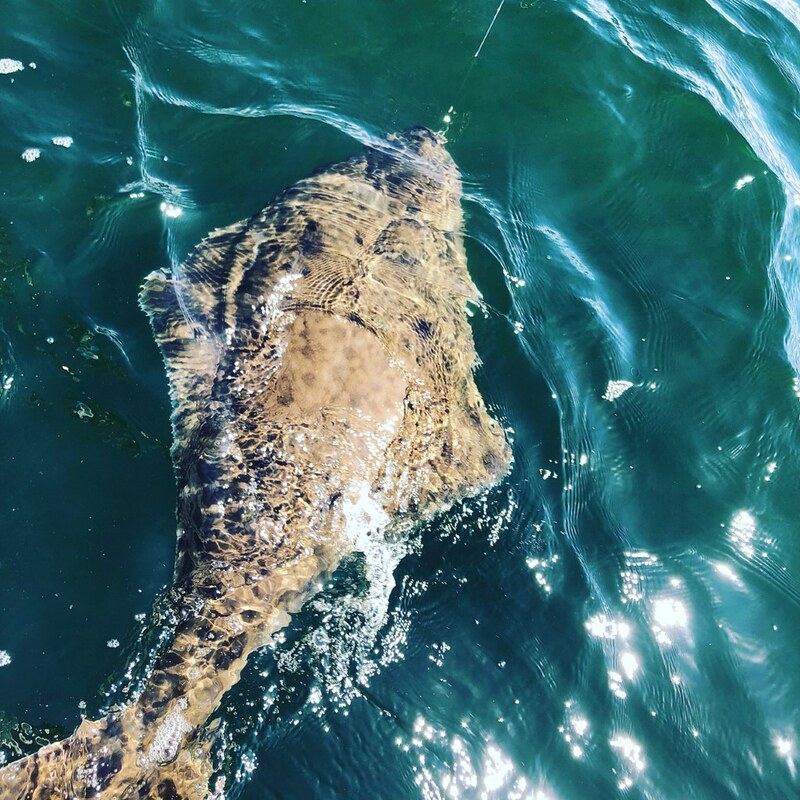 He also caught a 7lbs 7ozs Thornback Ray that broke his own previous record. 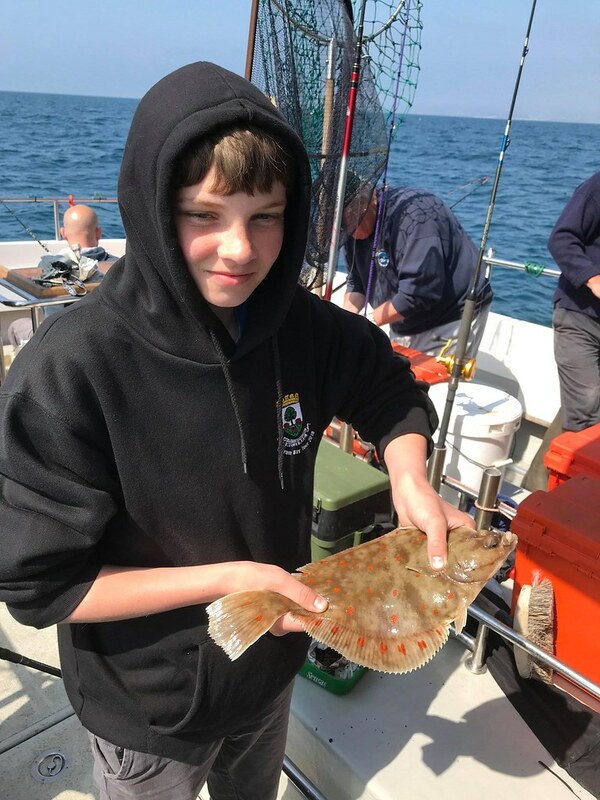 This gave Ben a superb 201.91% addition in the fight for the Overall Best Specimen Shield and puts him into second place, just behind his brother Ollie. 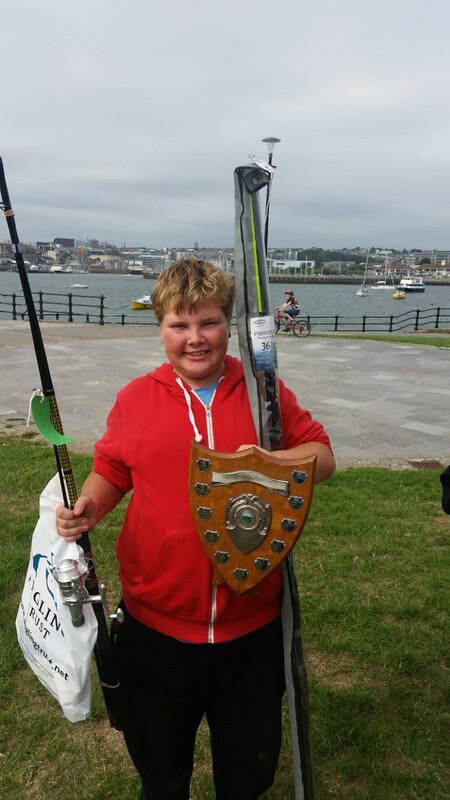 Well done Ben!! 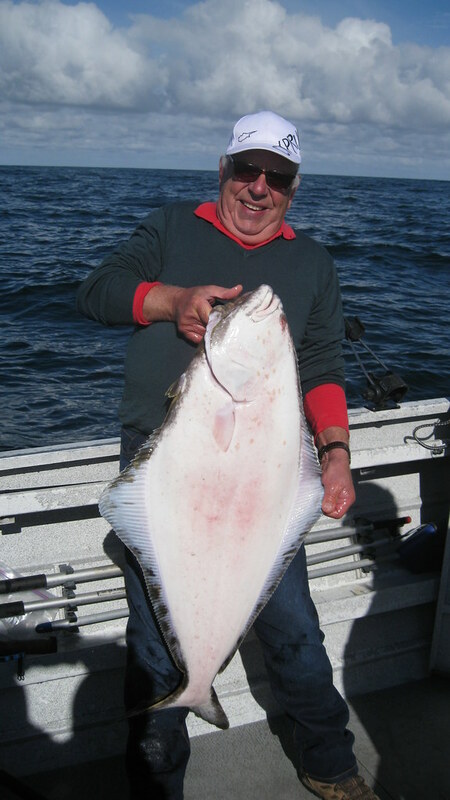 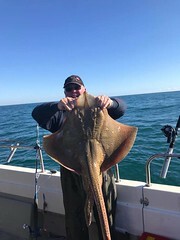 Steve "Molotov" Gubby with his personal best Blonde Ray of 22lbs caught on Pegasus. 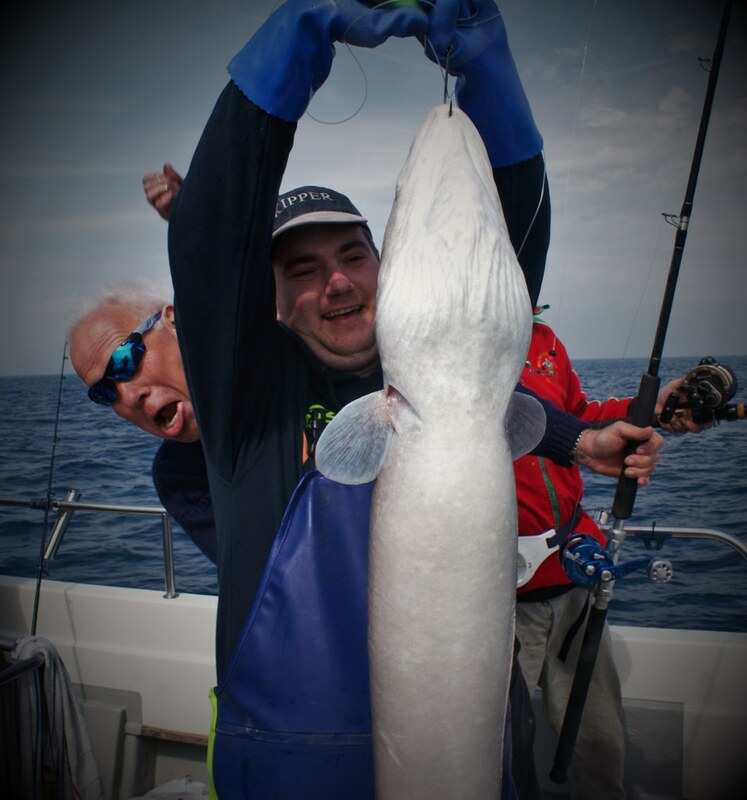 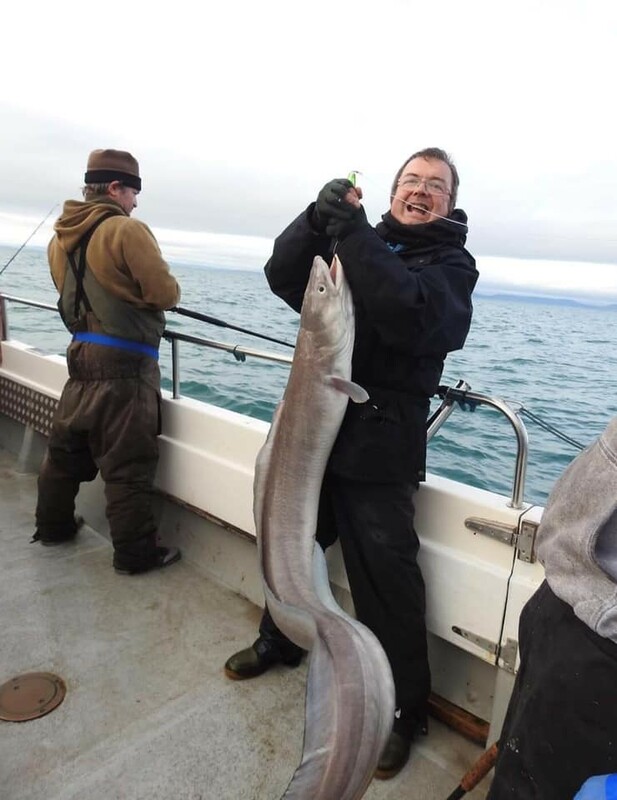 His Russian minder seen in the background shows his enthusiasm for his boss's catch! 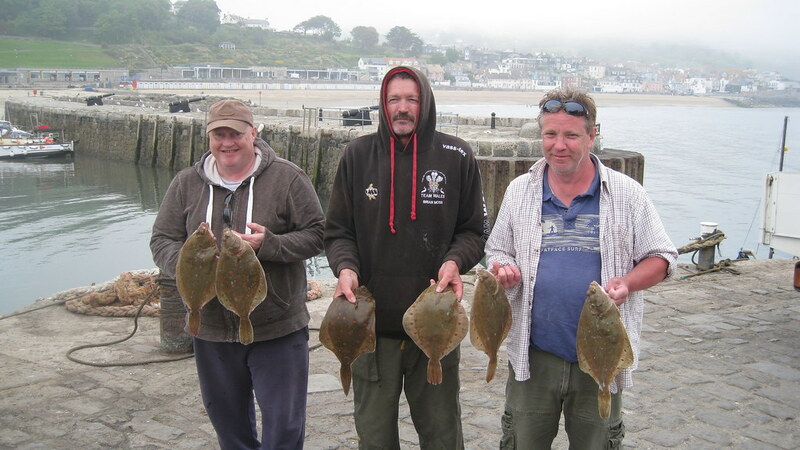 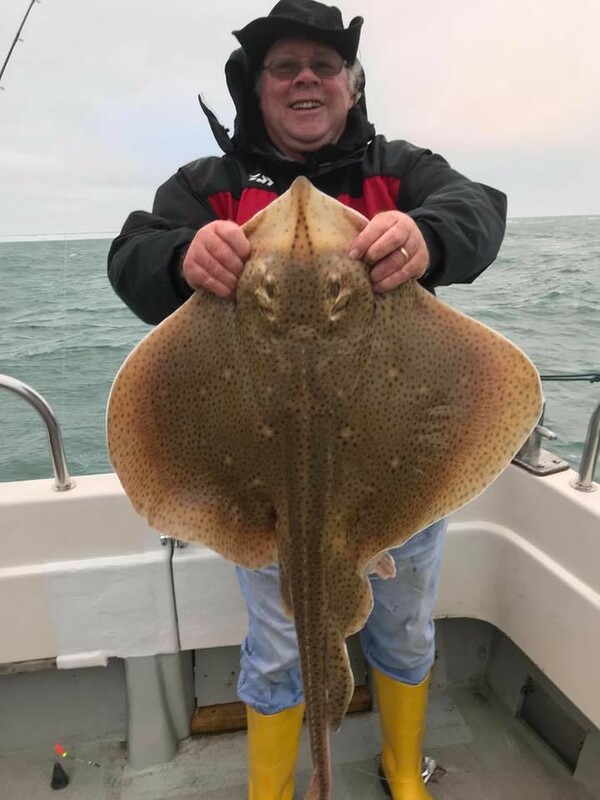 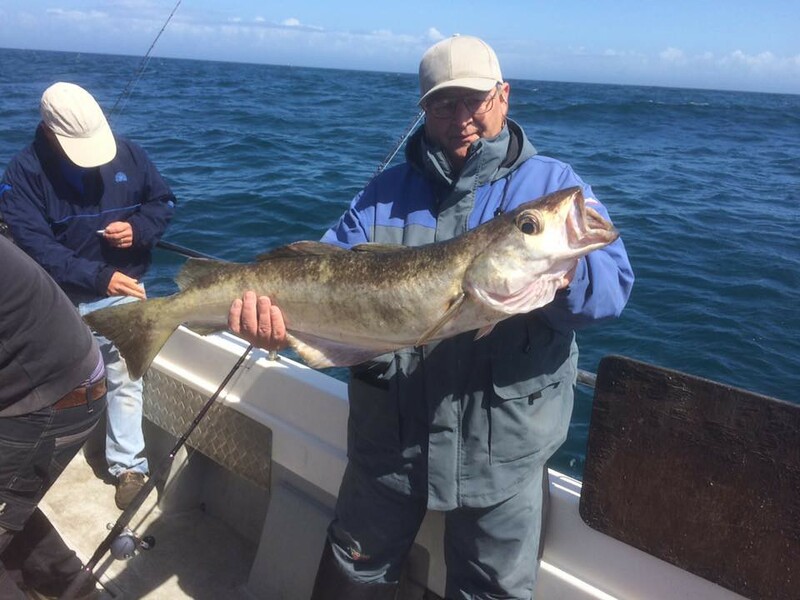 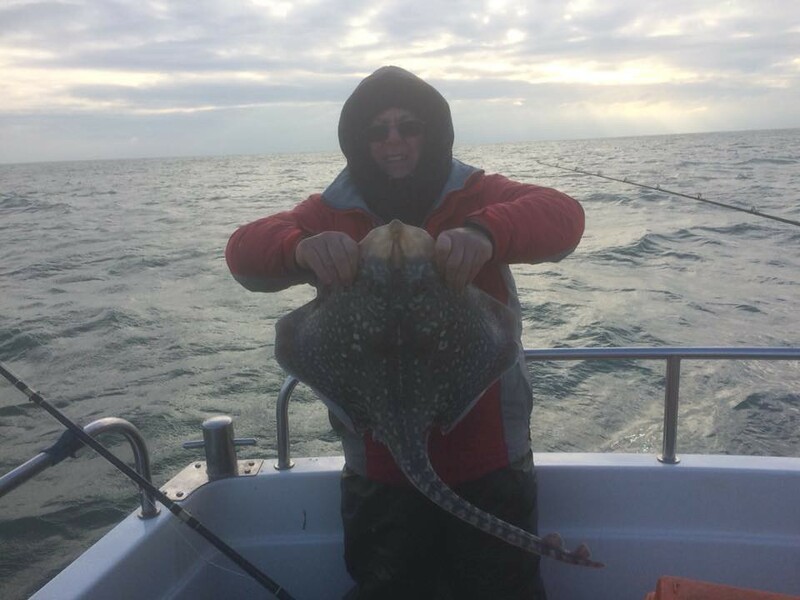 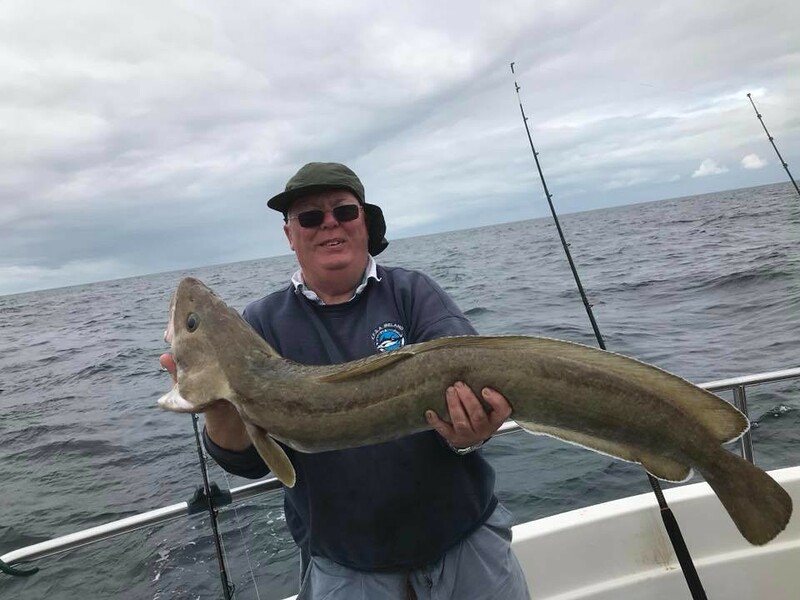 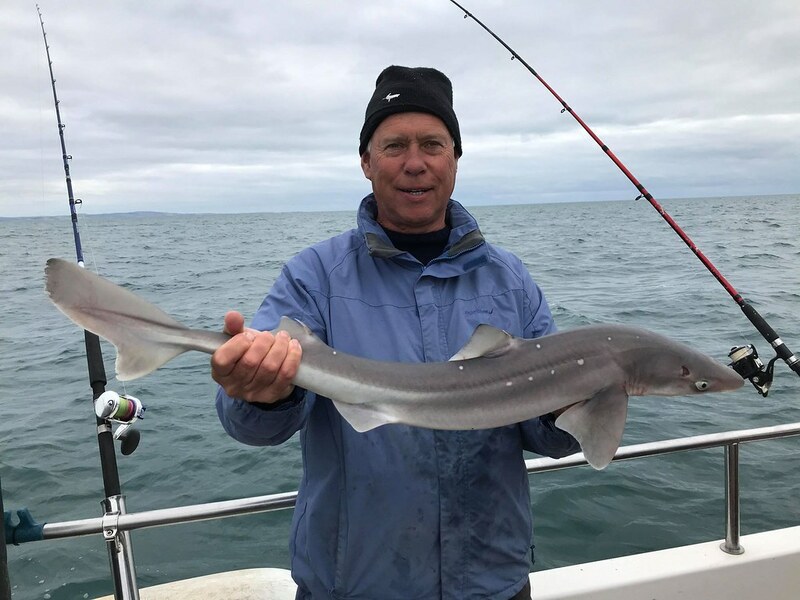 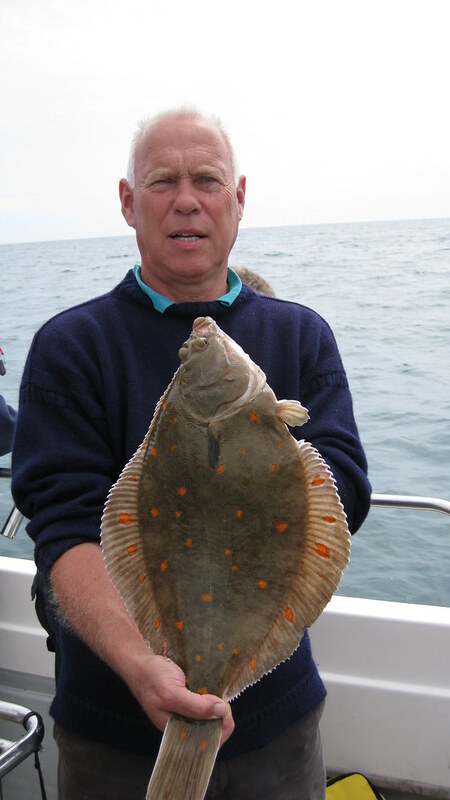 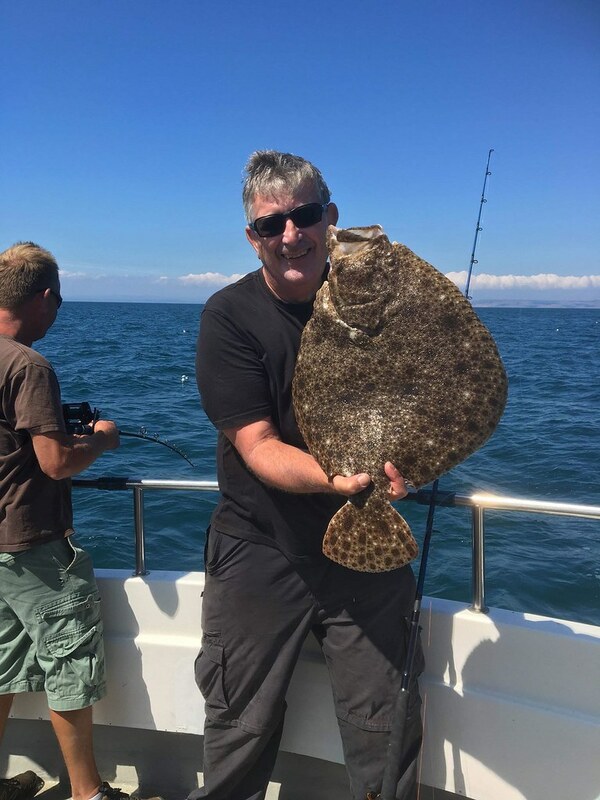 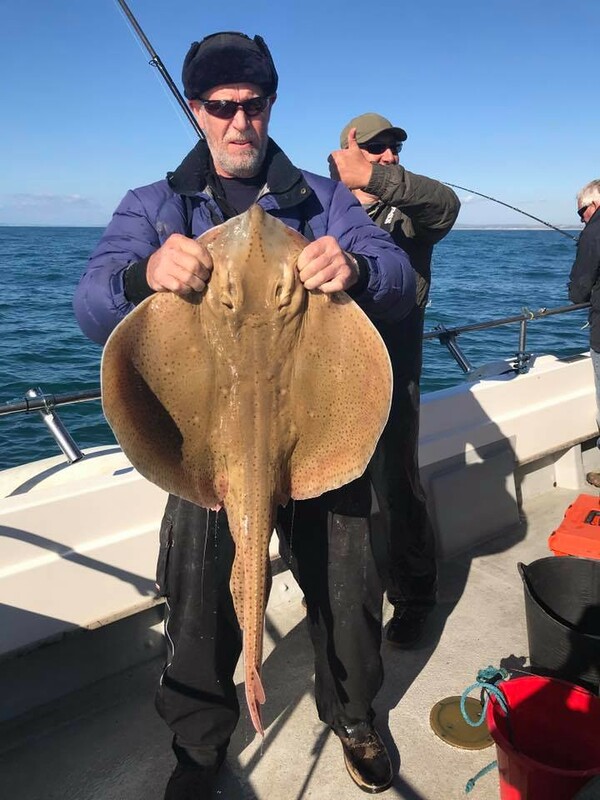 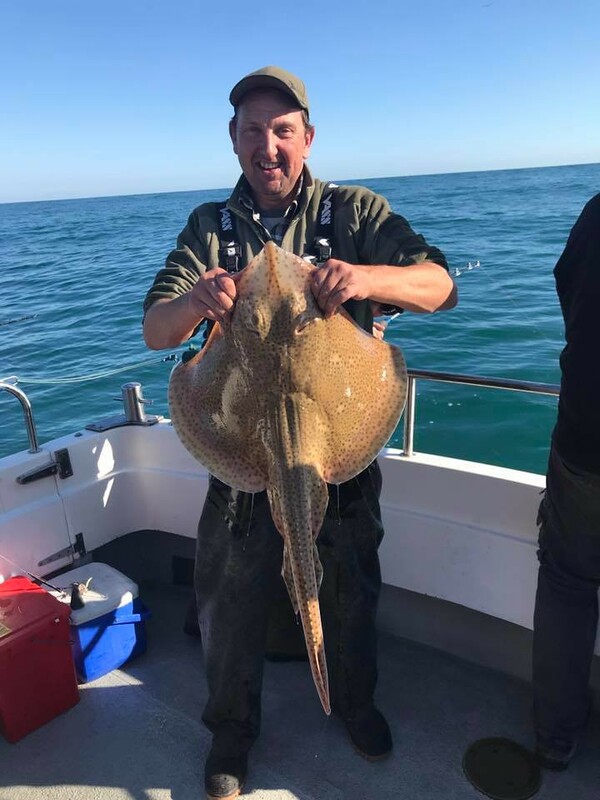 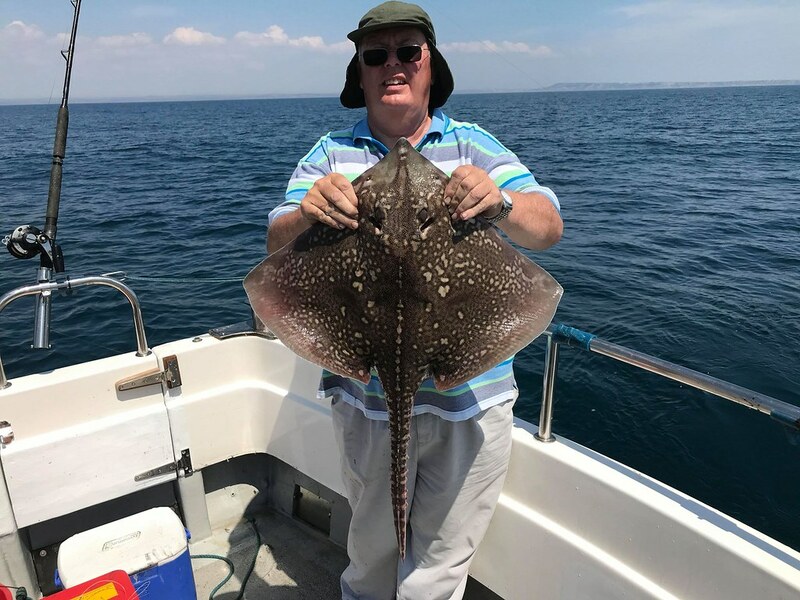 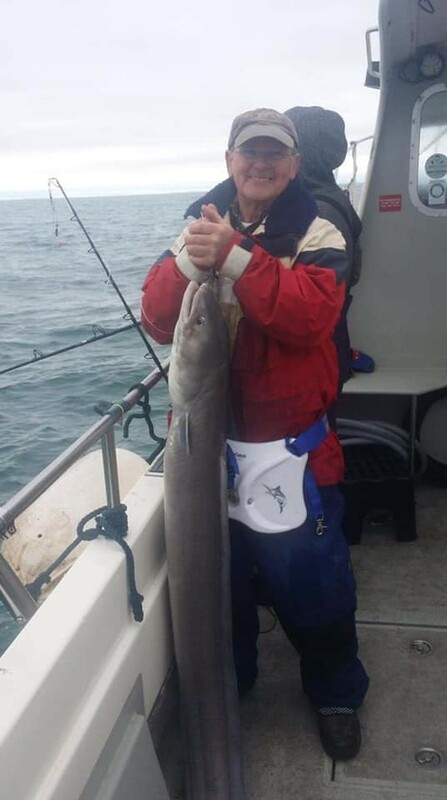 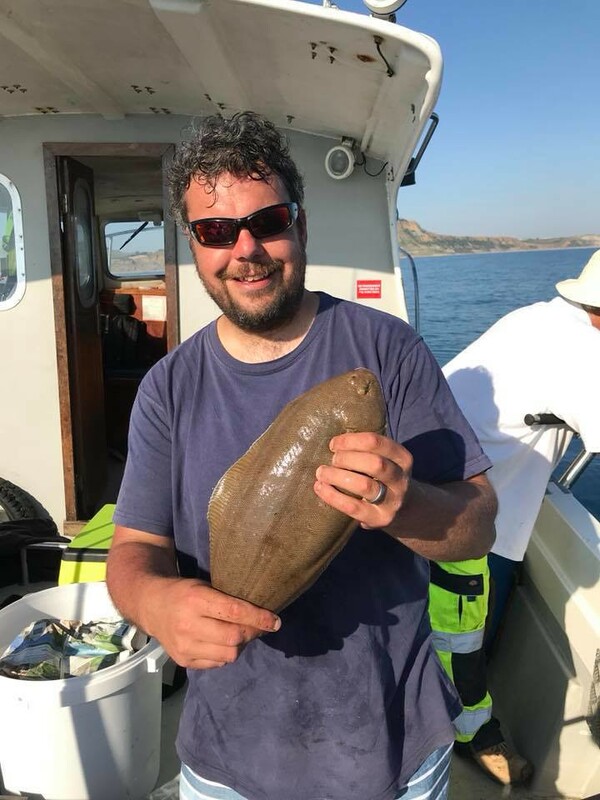 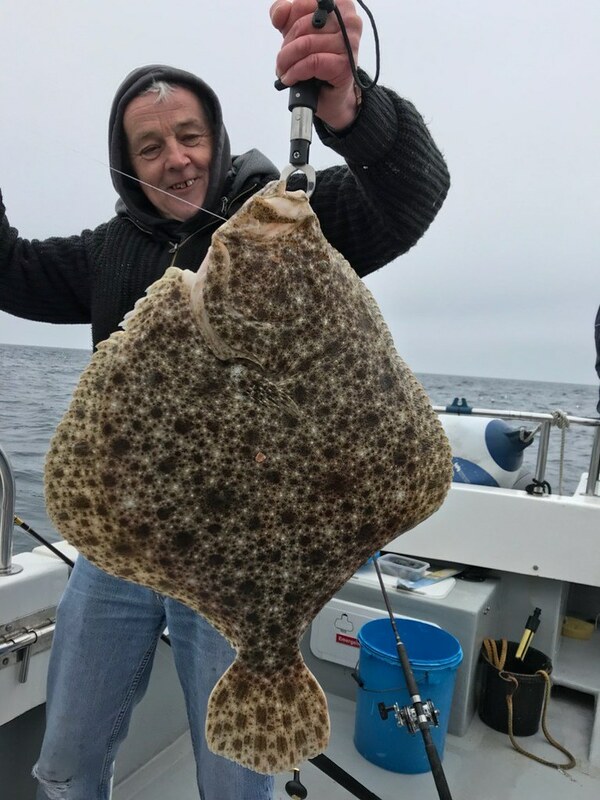 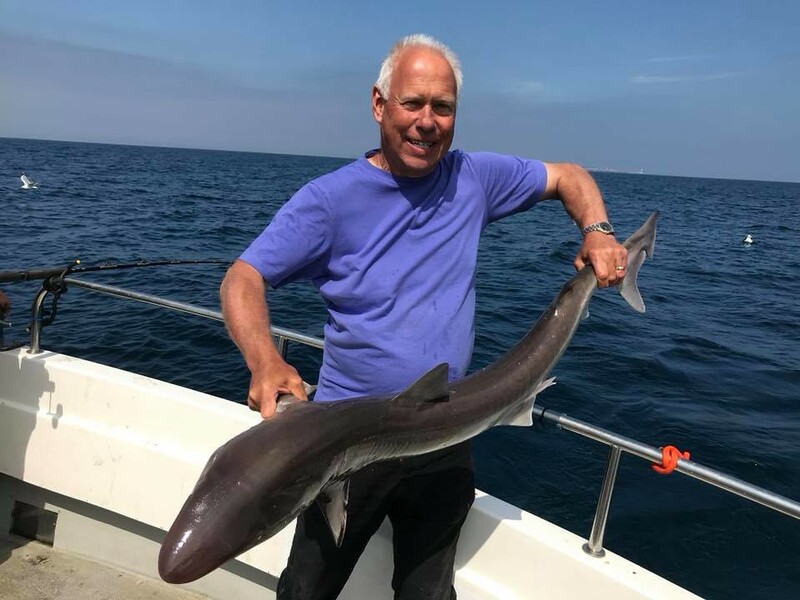 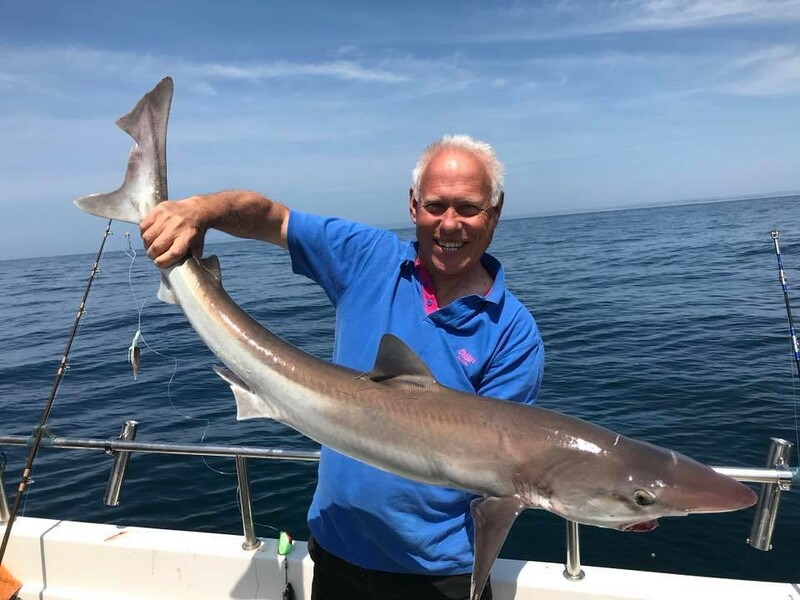 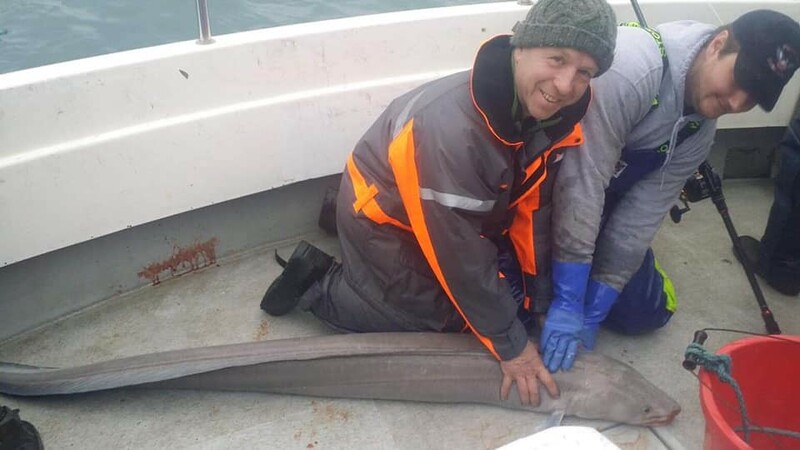 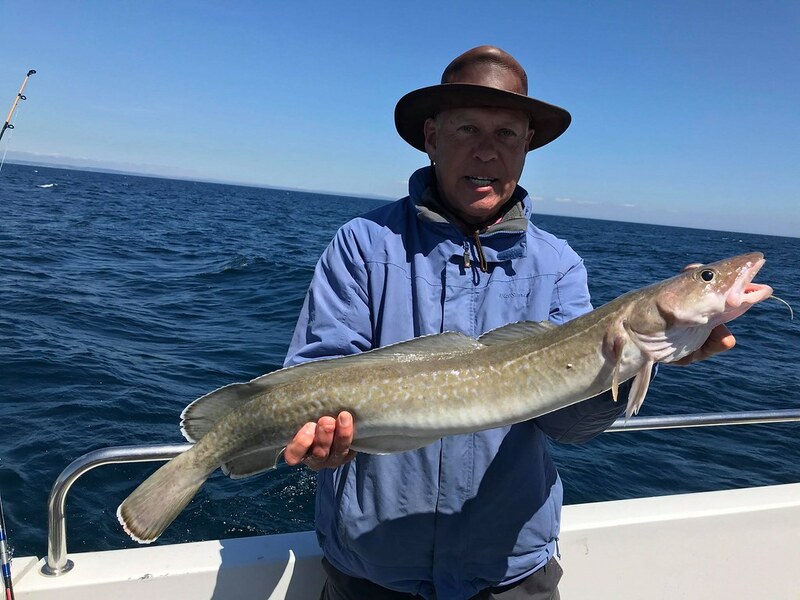 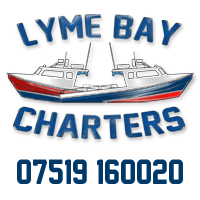 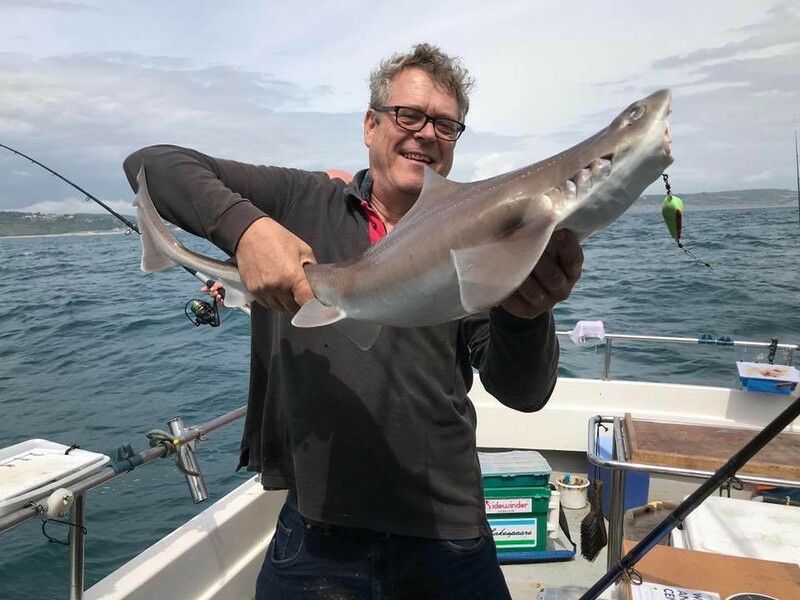 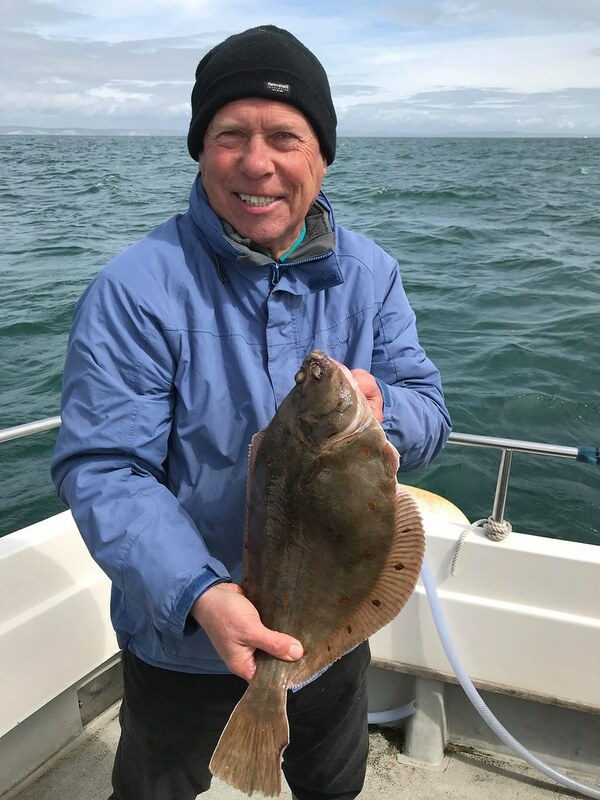 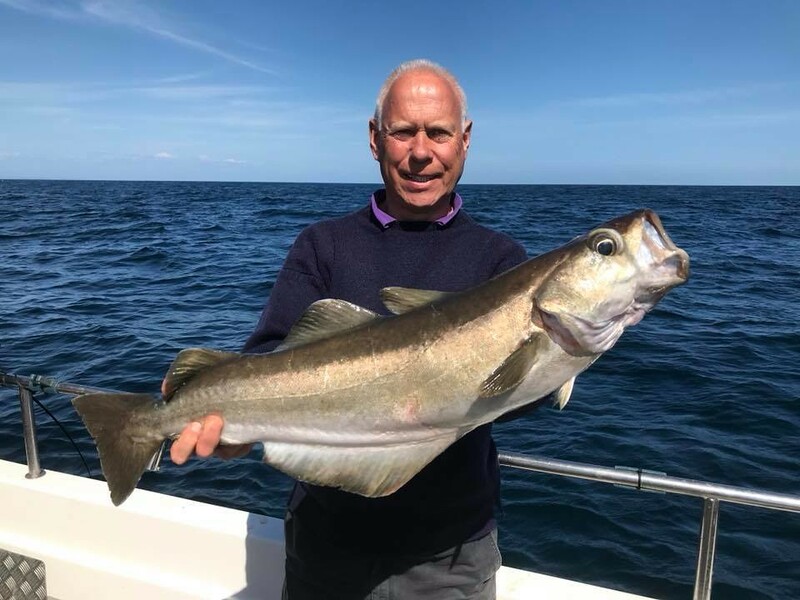 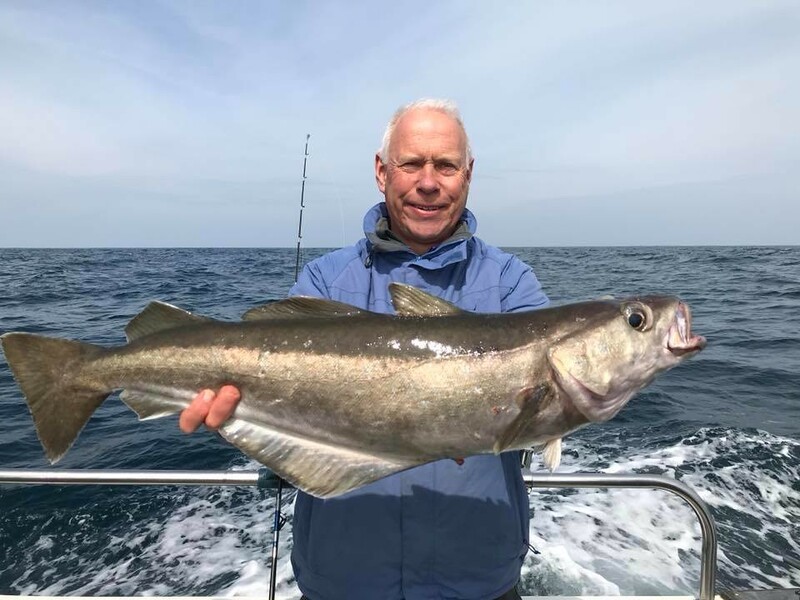 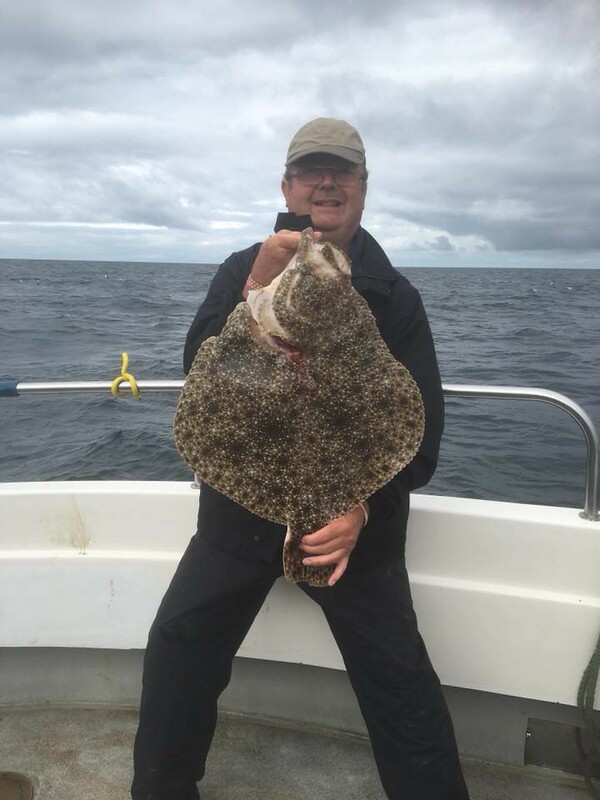 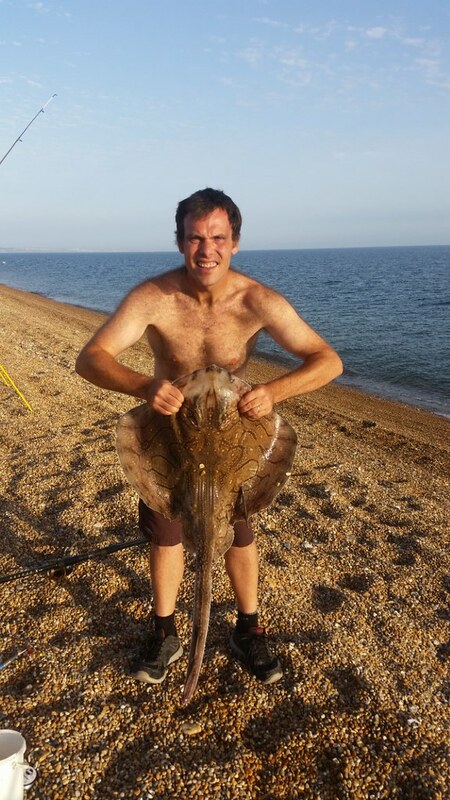 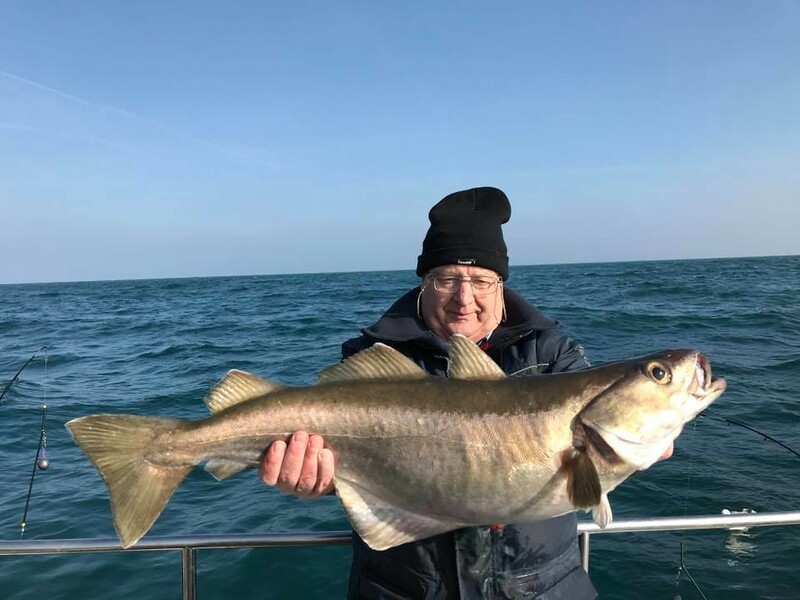 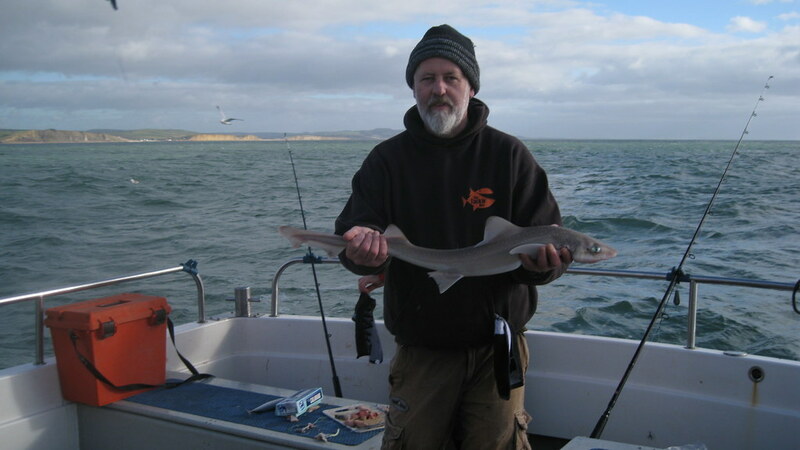 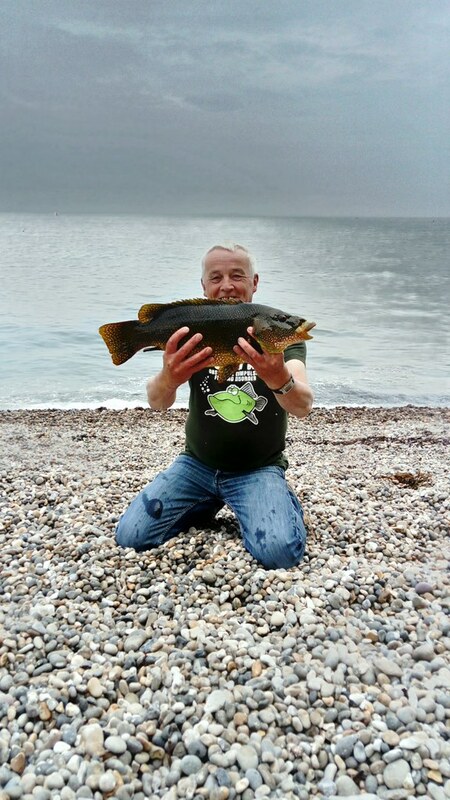 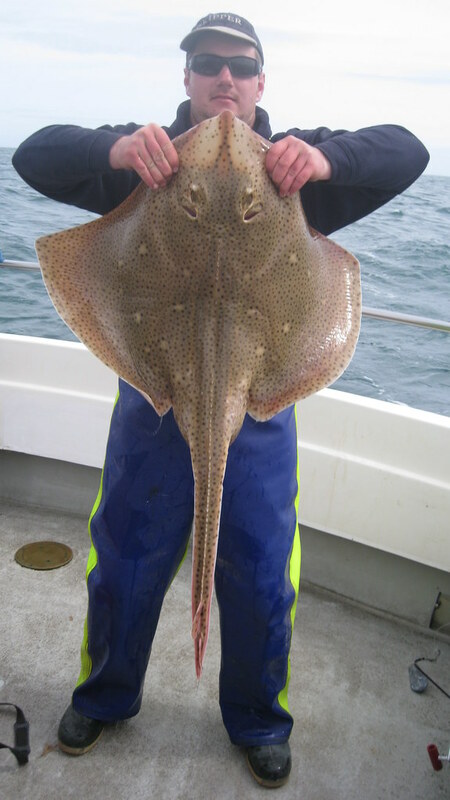 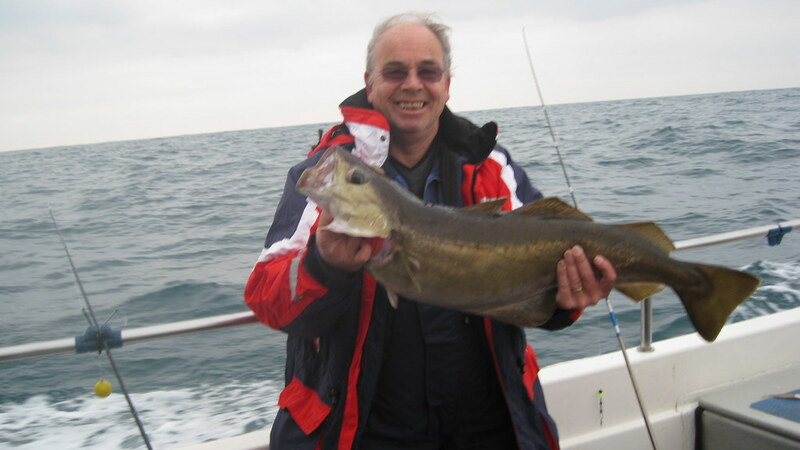 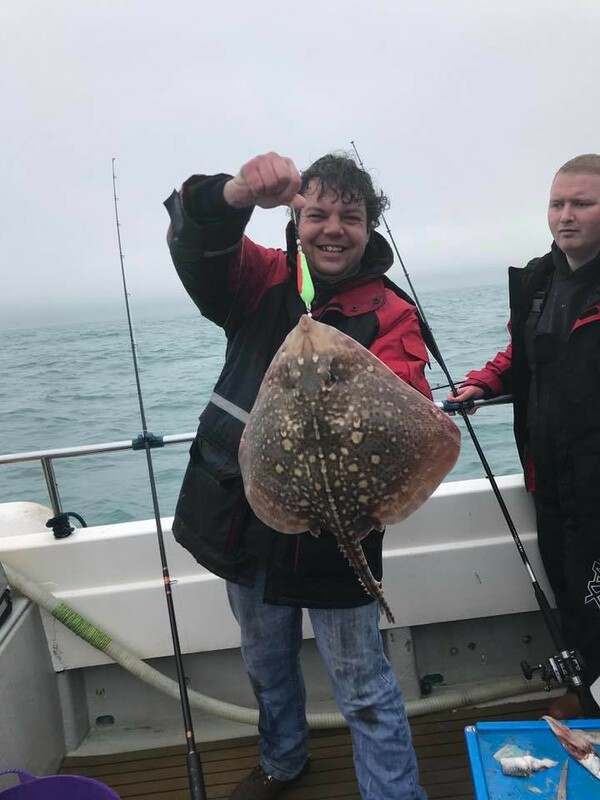 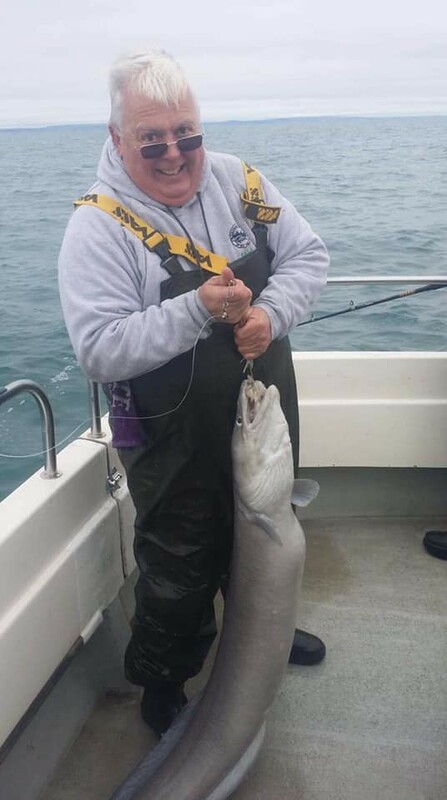 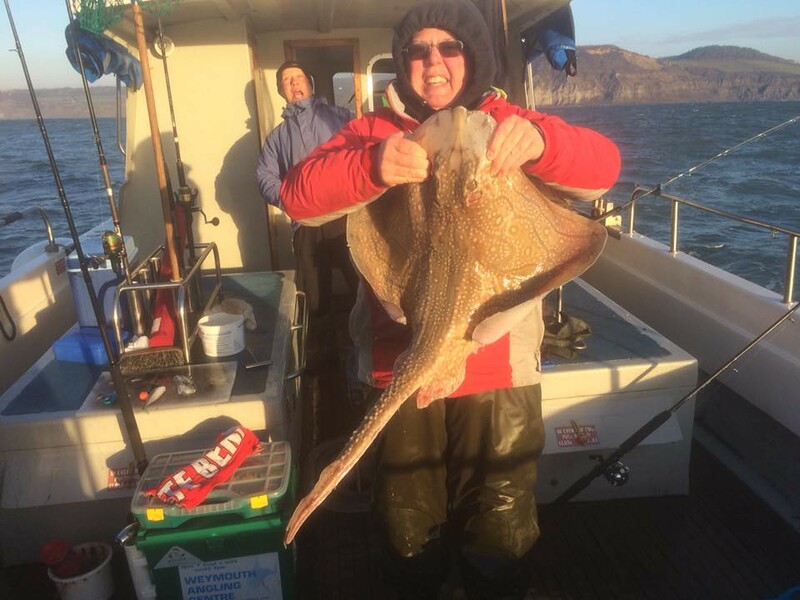 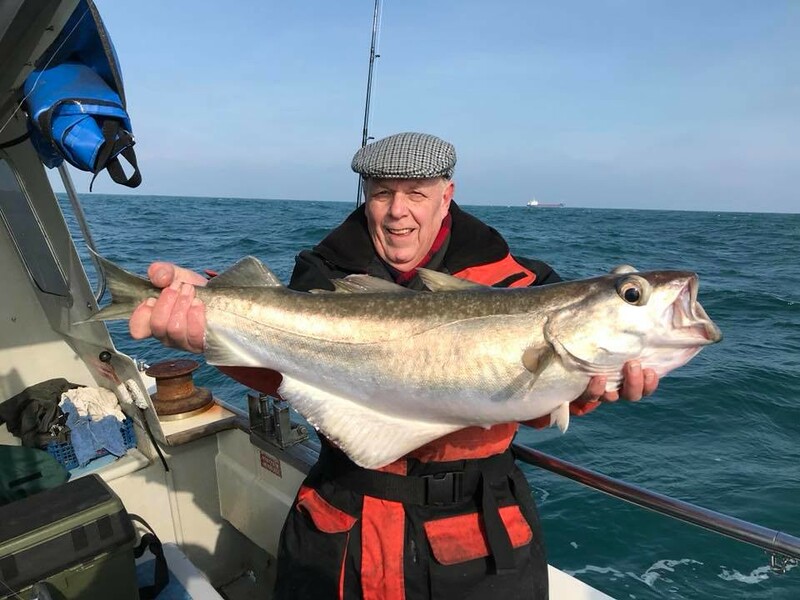 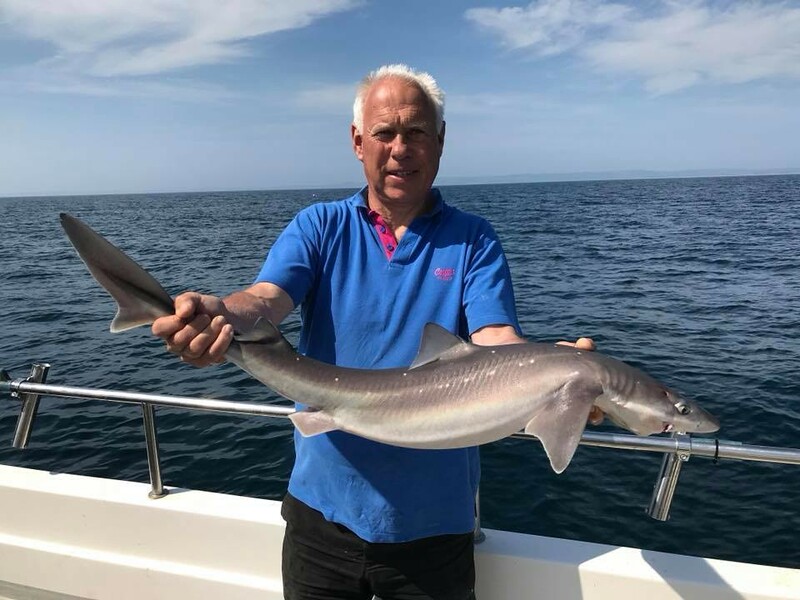 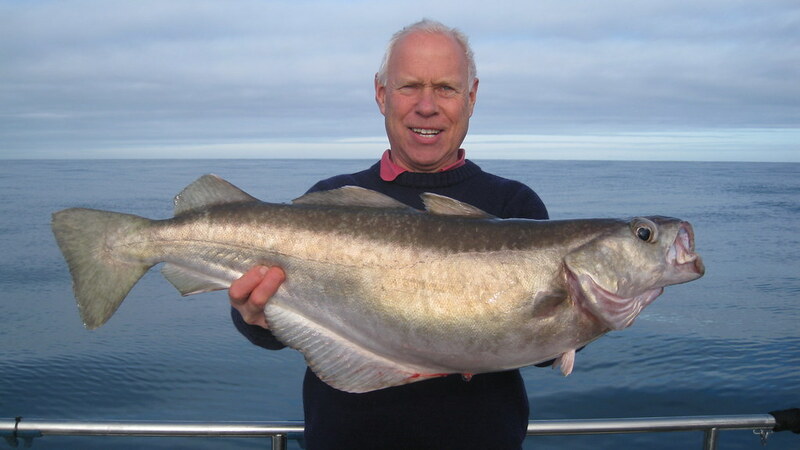 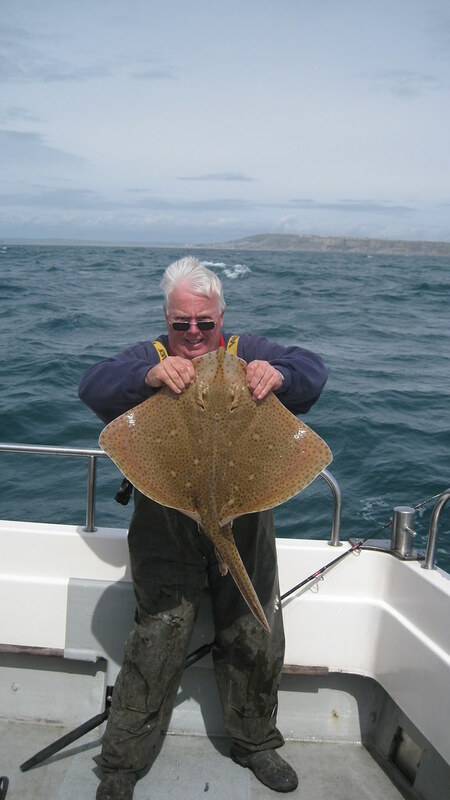 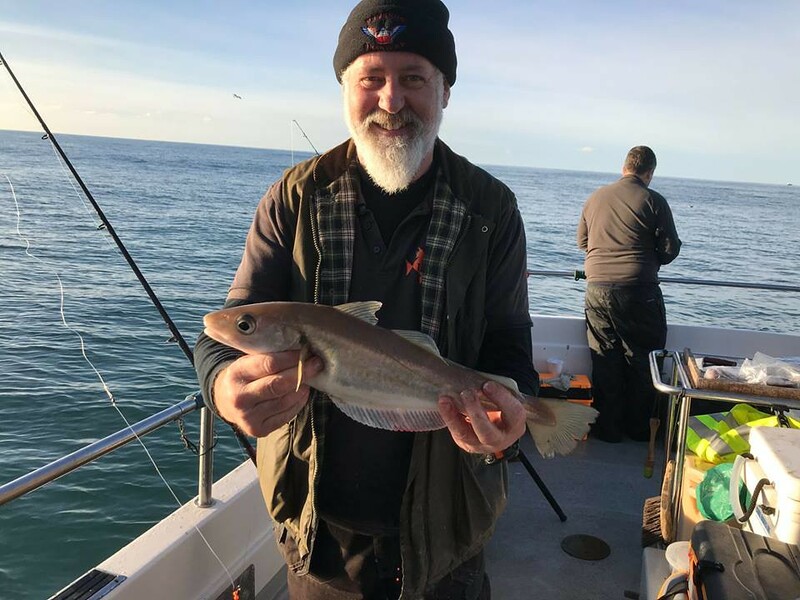 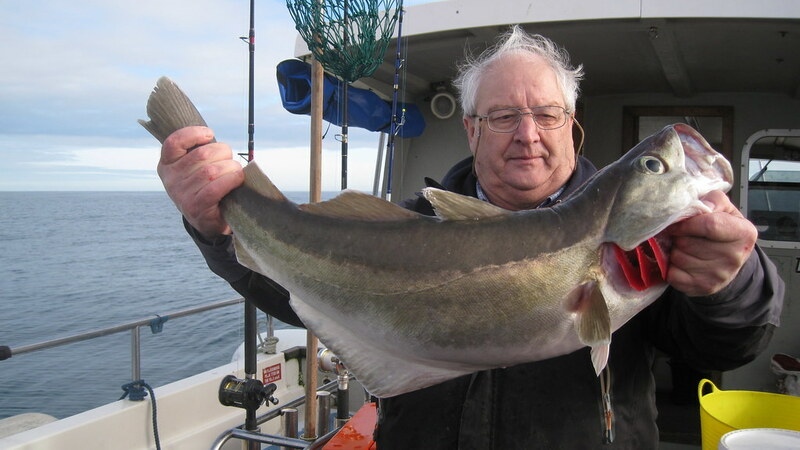 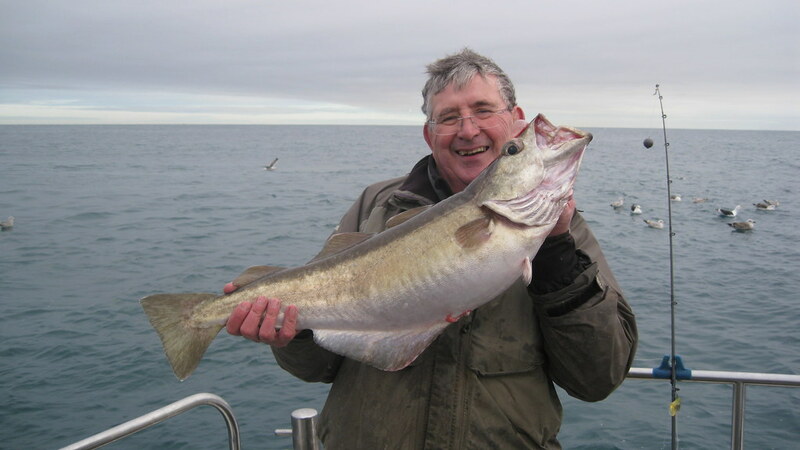 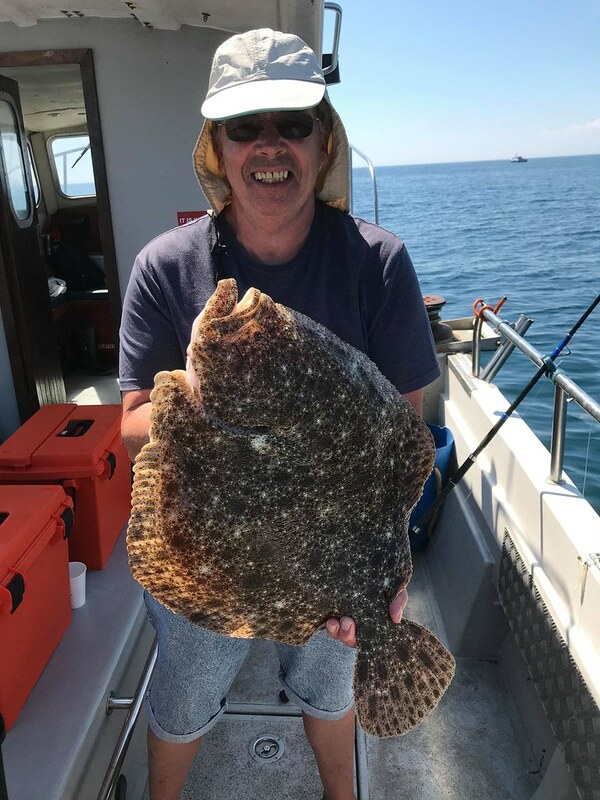 Roy pictured with a 21lb Blonde Ray he caught on Pegasus whilst fishing in Lyme Bay. 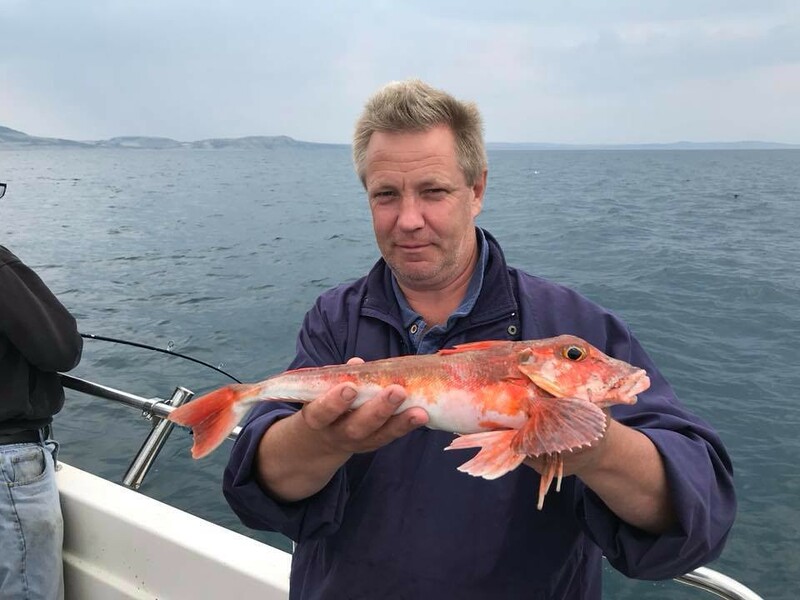 This was one of over 20 Blondes caught by the boat during the day along with two bonus Turbot! 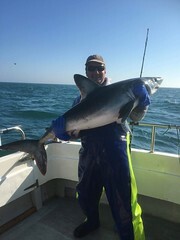 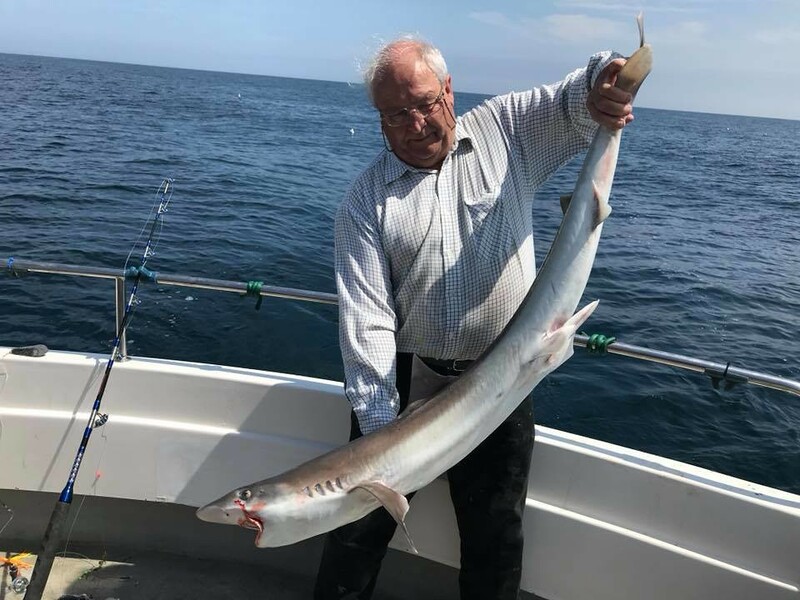 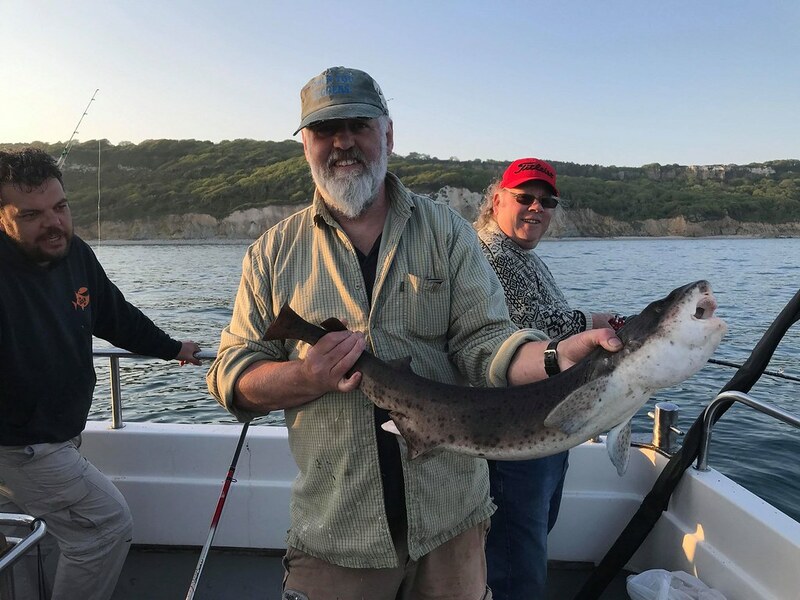 Lewis with a new LRSAC record Porbeagle Shark caught on his own boat Pegasus. 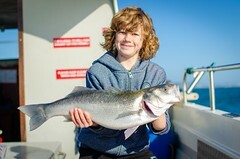 The fish weighed in at an impressive 68.5lbs. 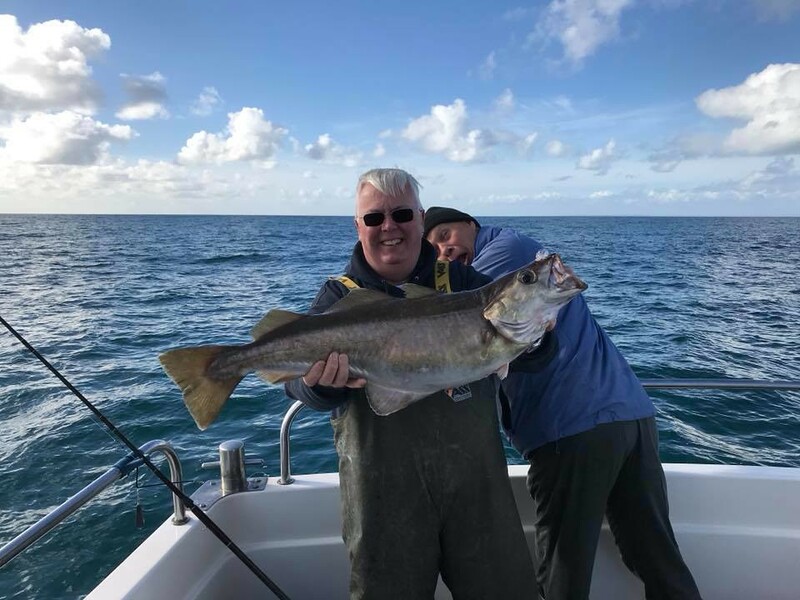 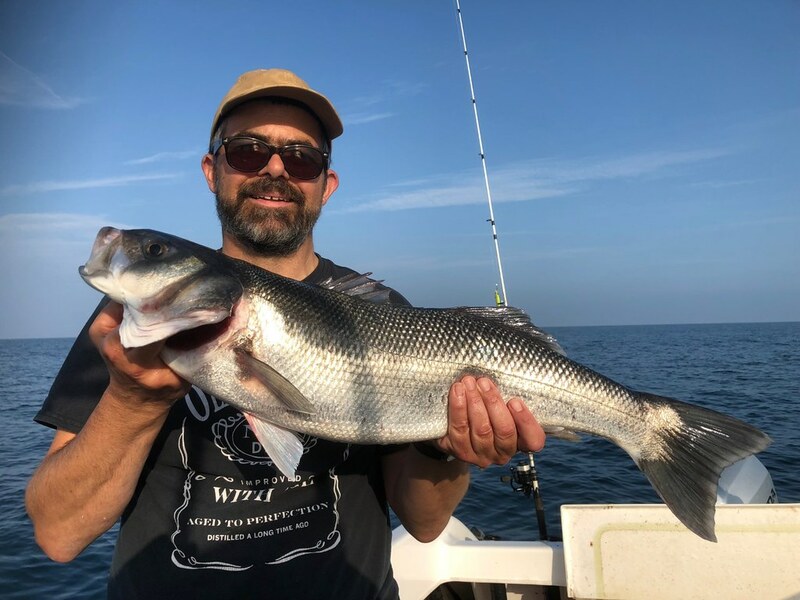 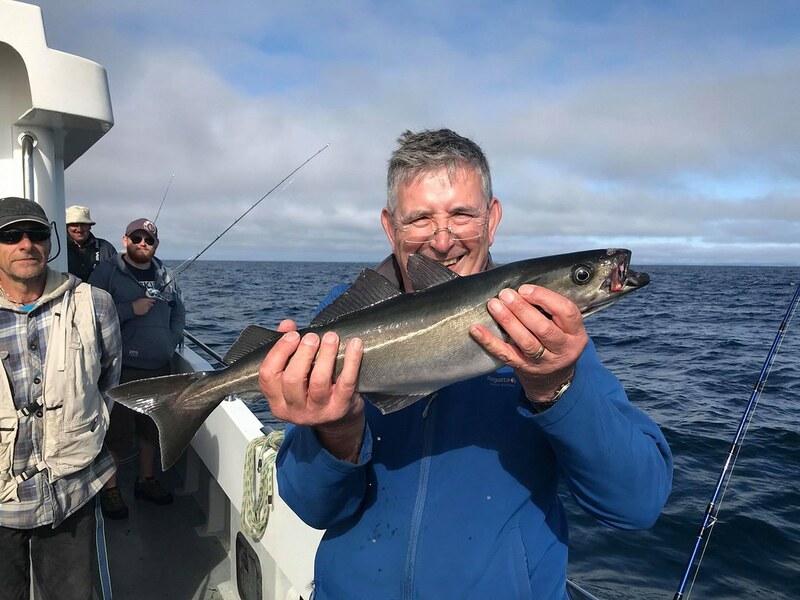 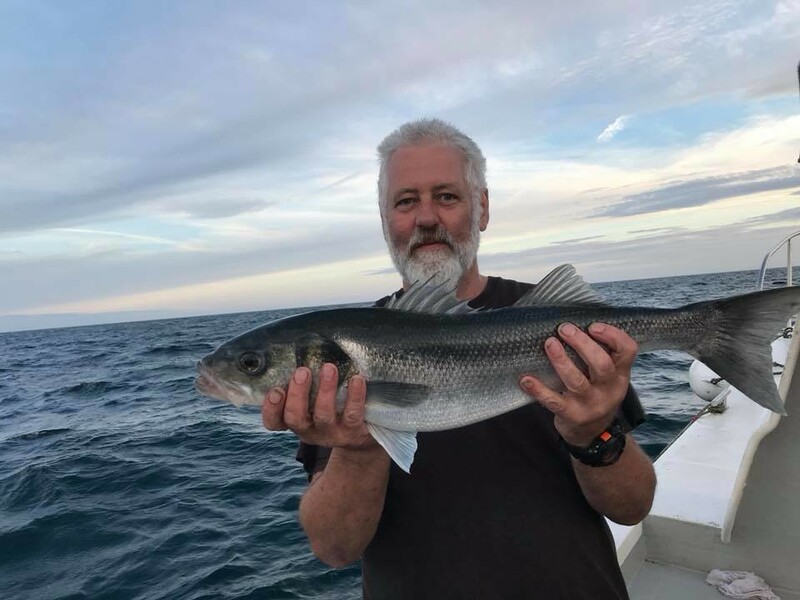 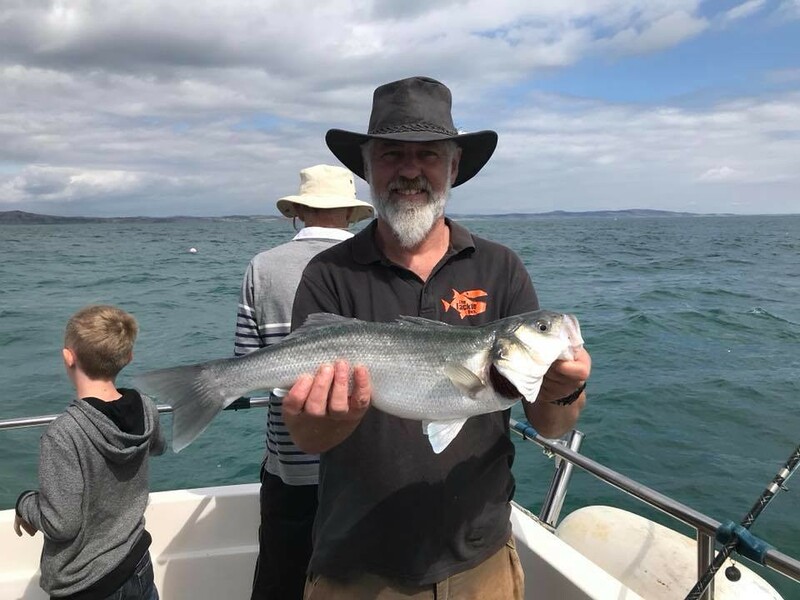 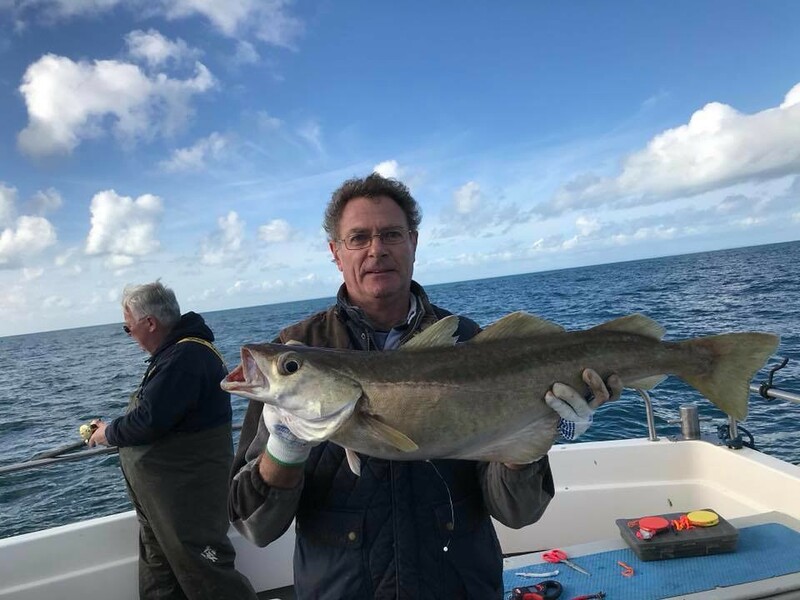 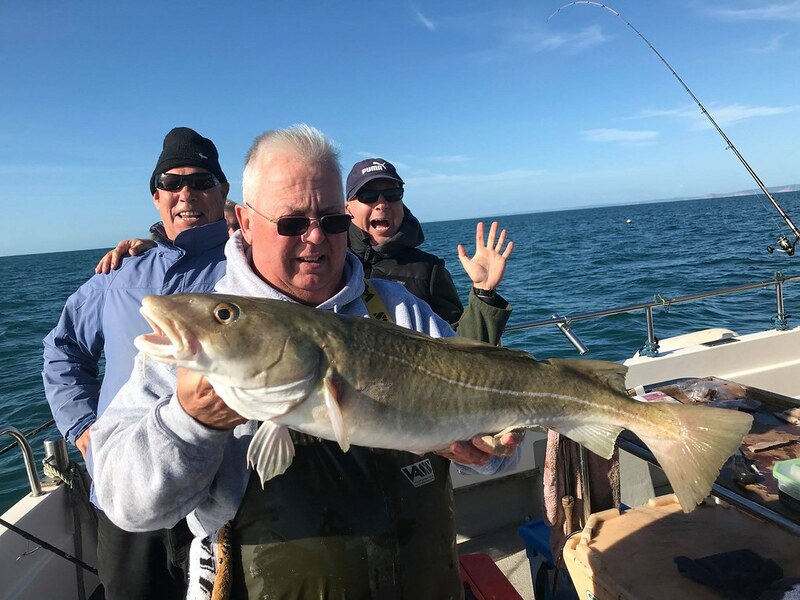 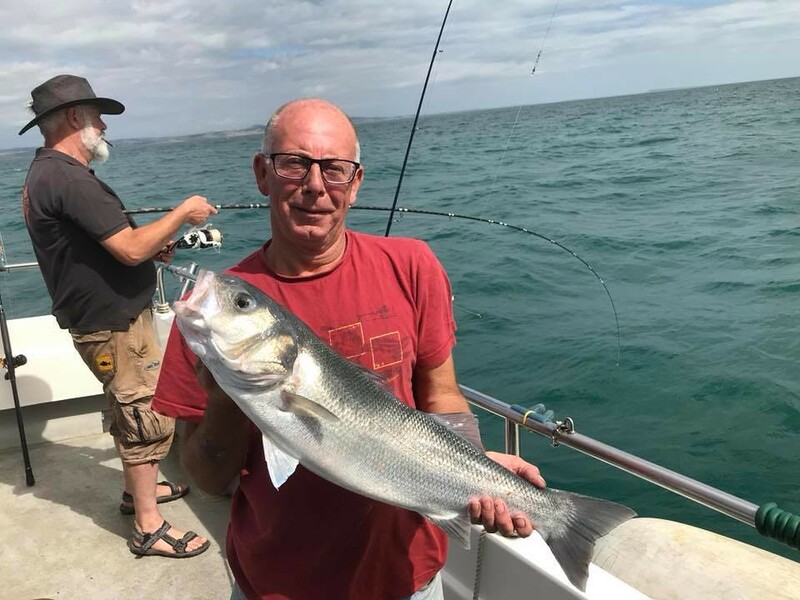 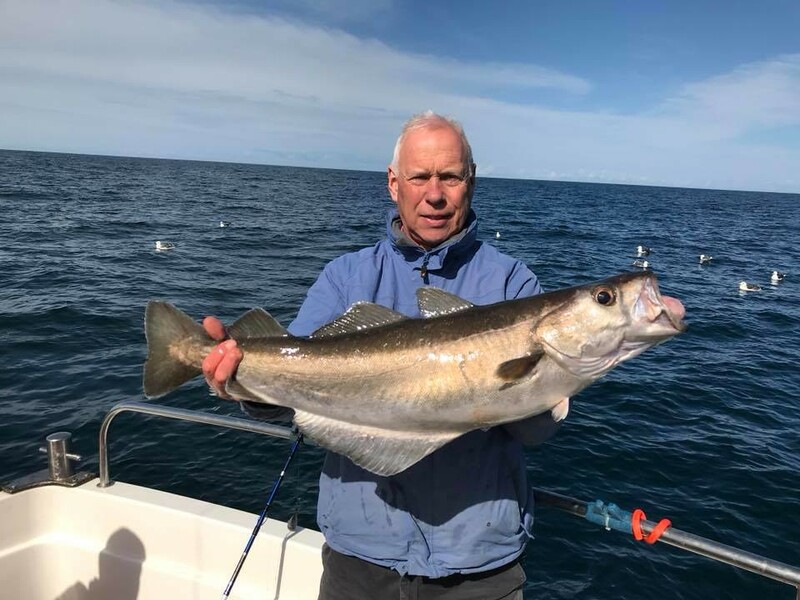 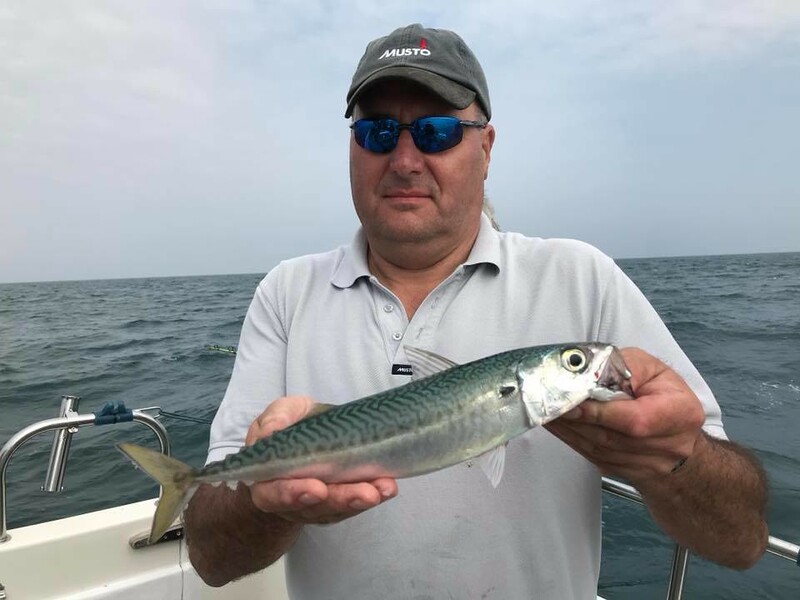 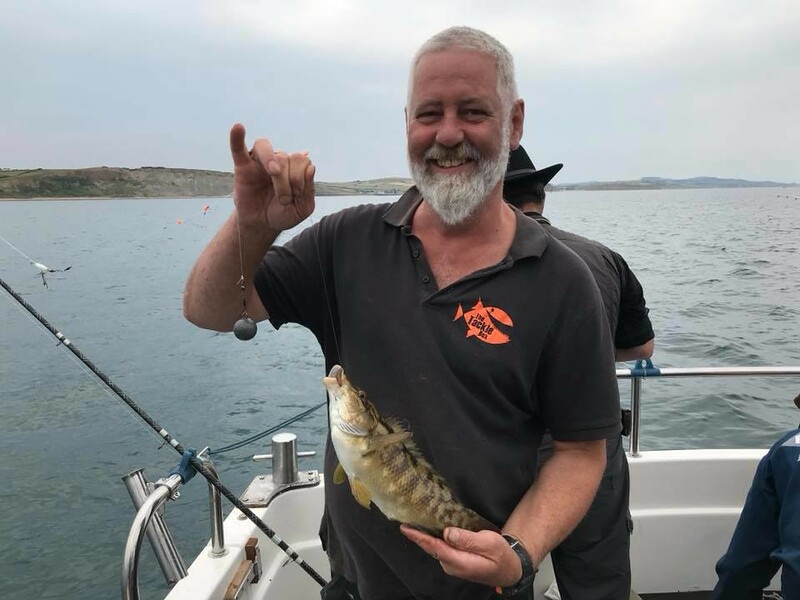 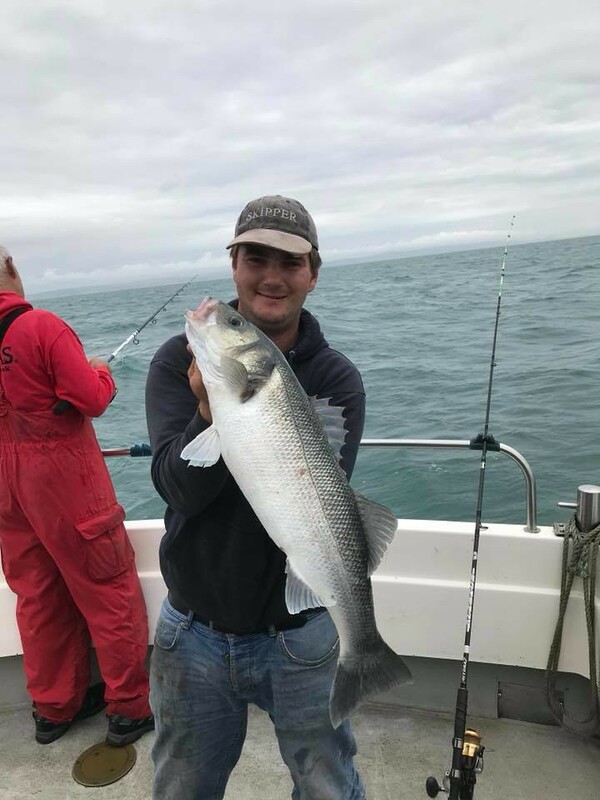 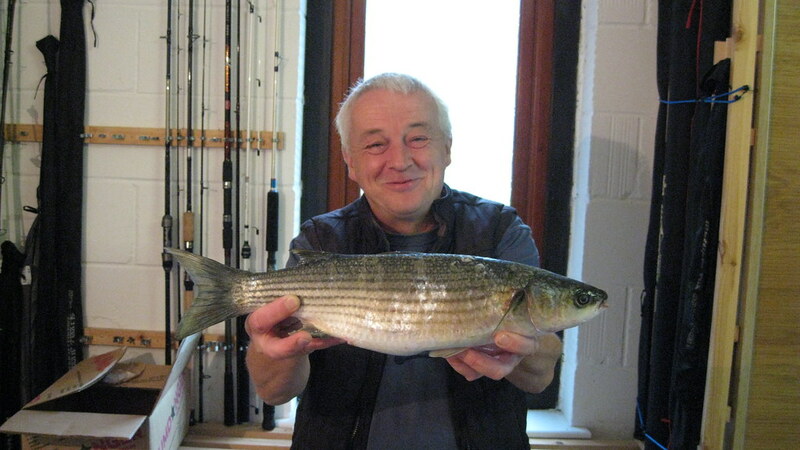 Andy pictured with a very nice 7lbs 6ozs Bass caught on his own boat Mackerel 111 whilst wreck fishing in early October. 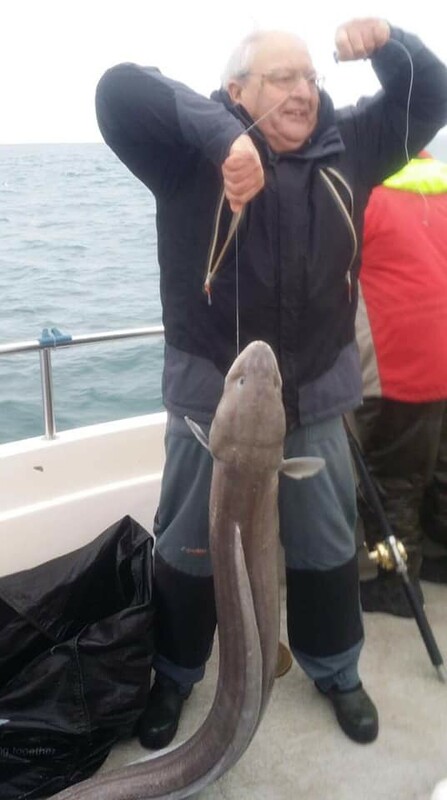 The fish took a Sidewinder super slim lure. 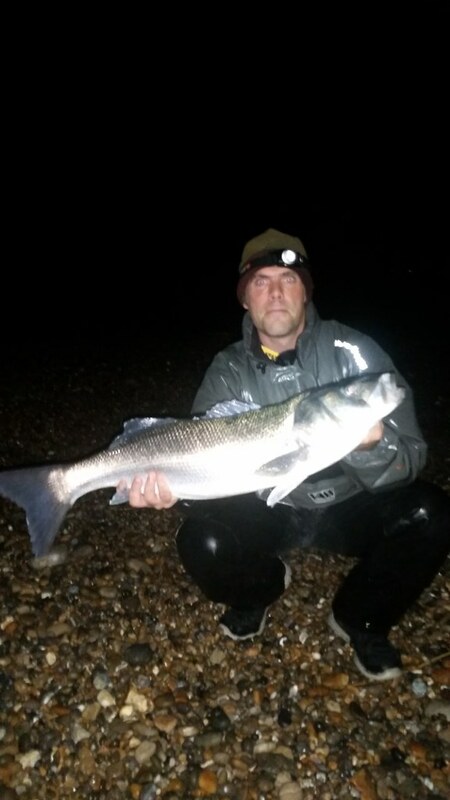 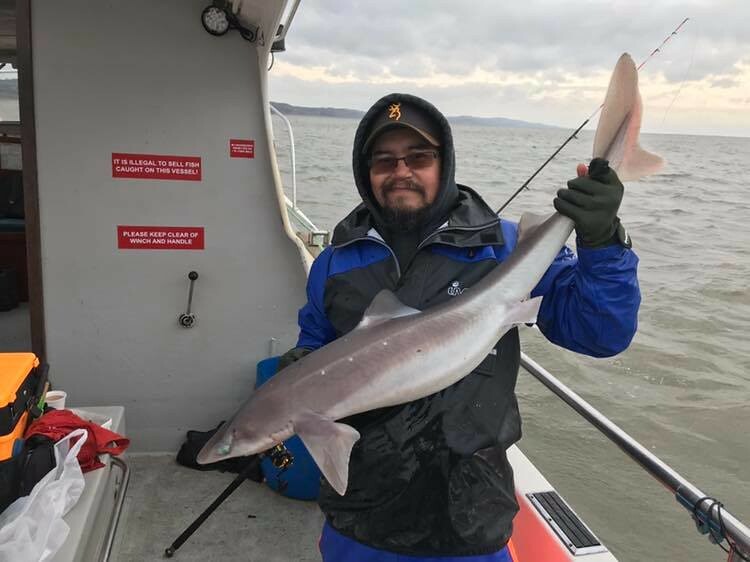 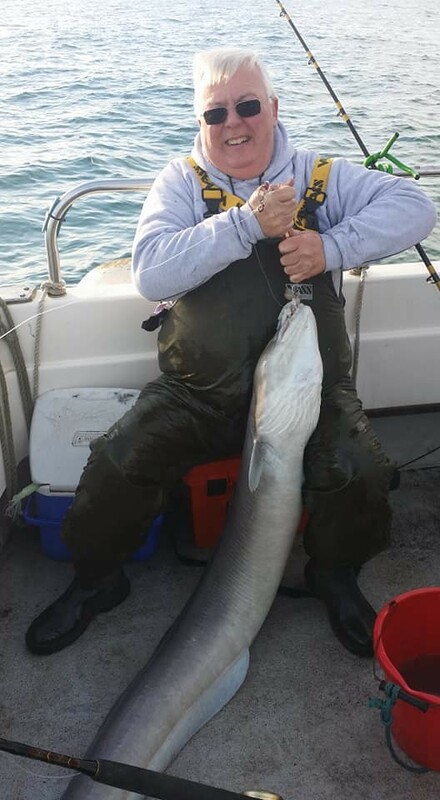 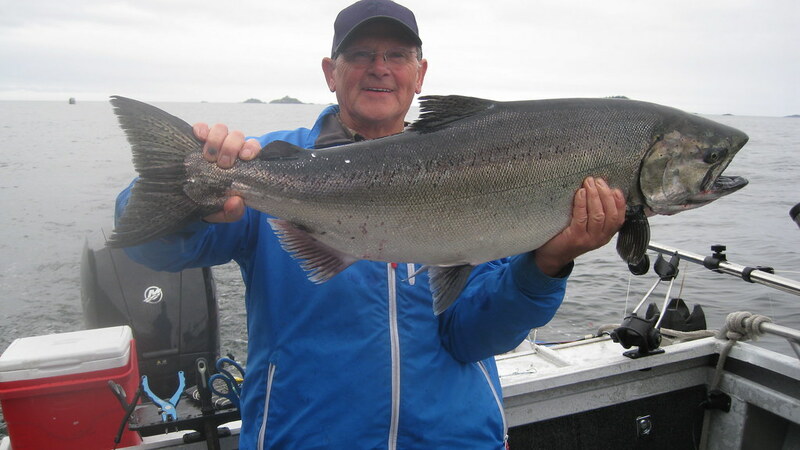 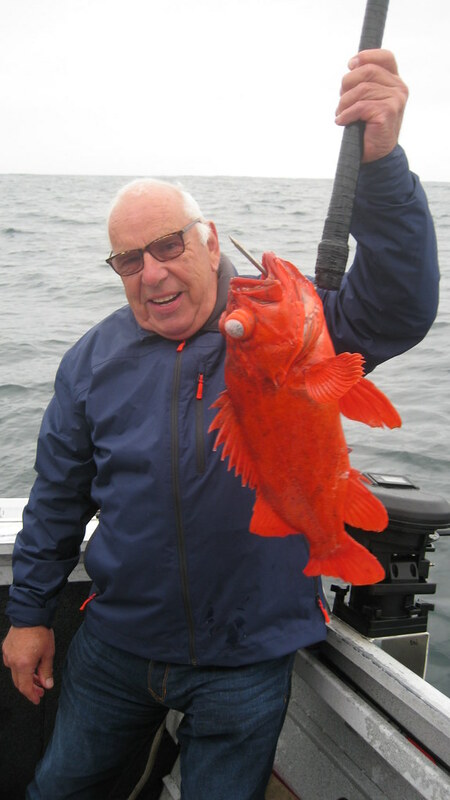 Picture of Mike with a 7.5lb Spur dog caught on Pegasus in early October. 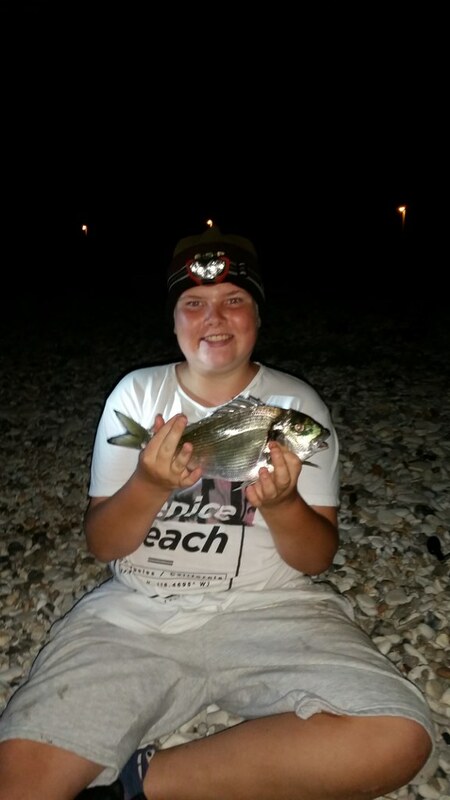 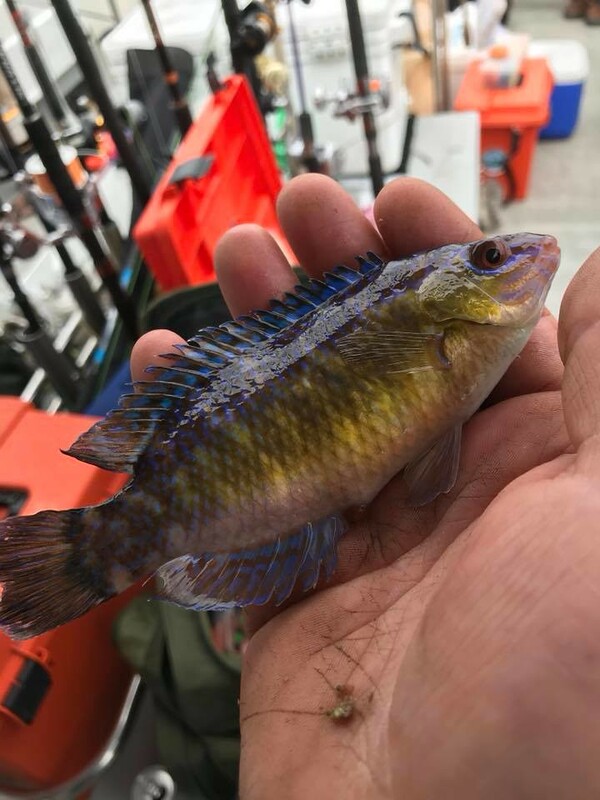 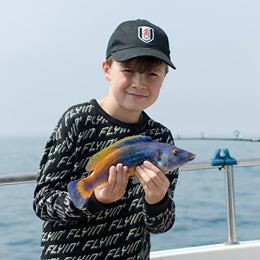 It was caught on the bottom hook of a three up Bream rig with a 2.5lb Black Bream caught on the top hook! 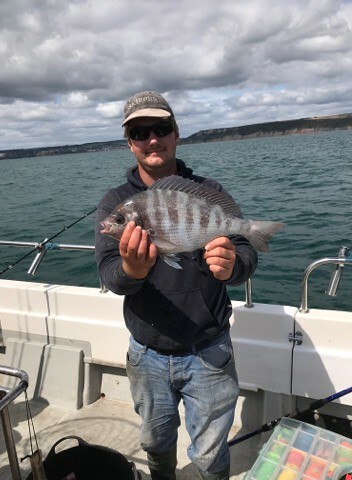 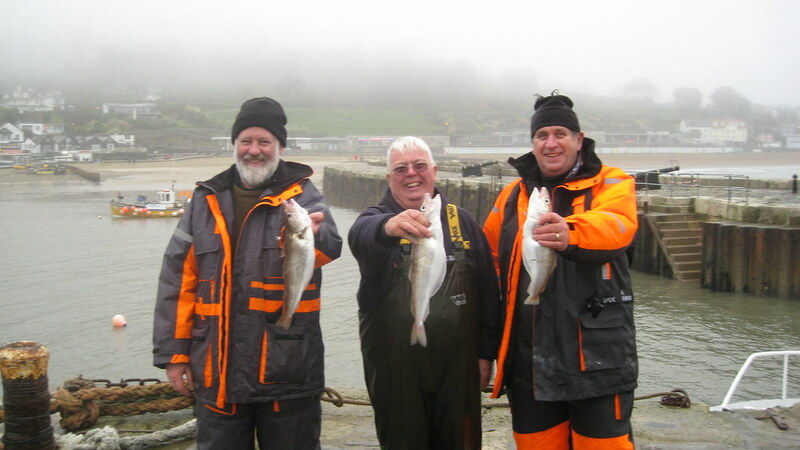 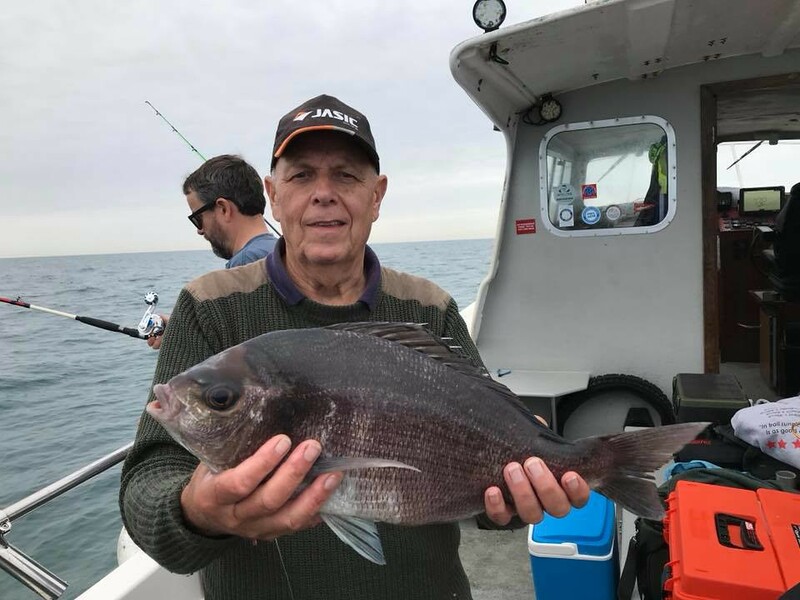 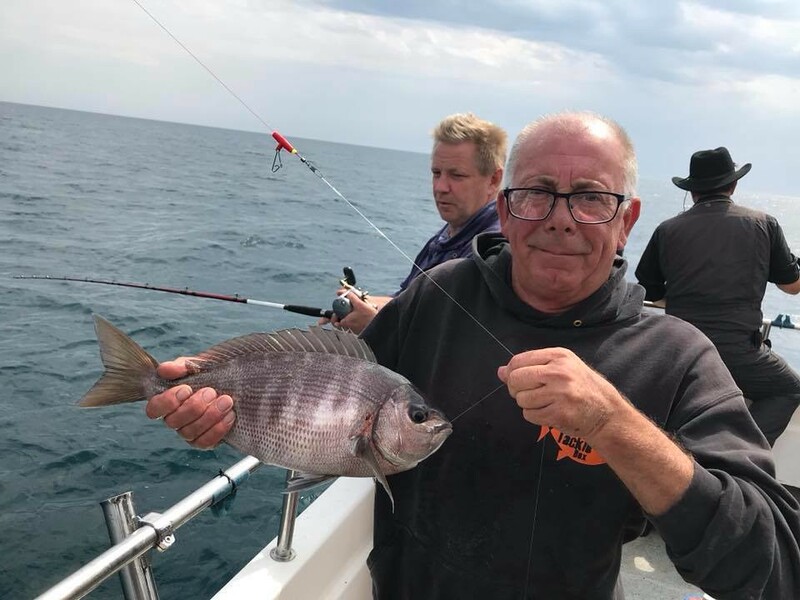 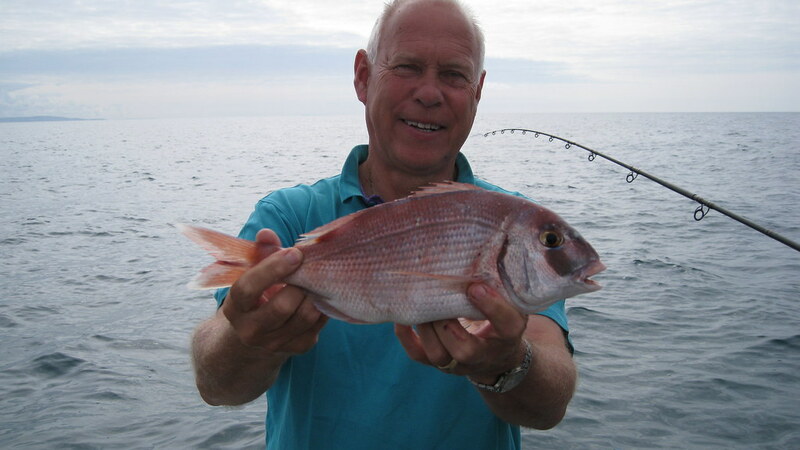 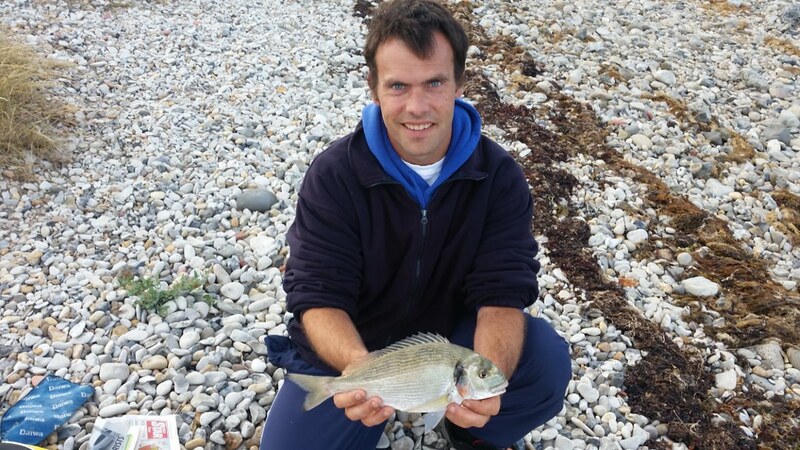 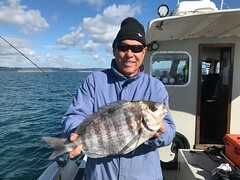 Mike pictured with a personal best Black Bream of 3lbs 15ozs caught on Pegasus (Lewis Hodder). 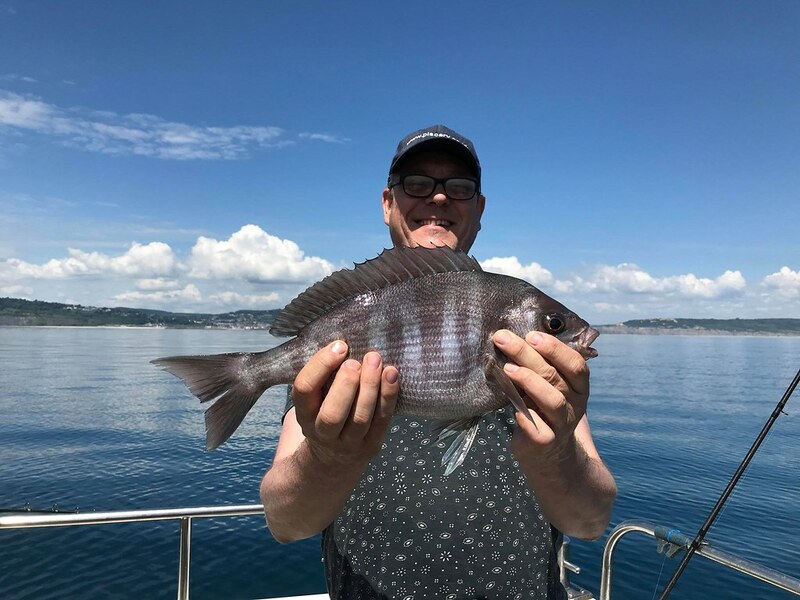 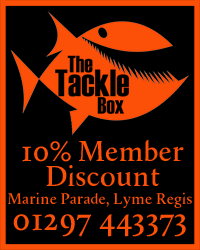 This gives Mike a specimen fish rating of 112.45%.